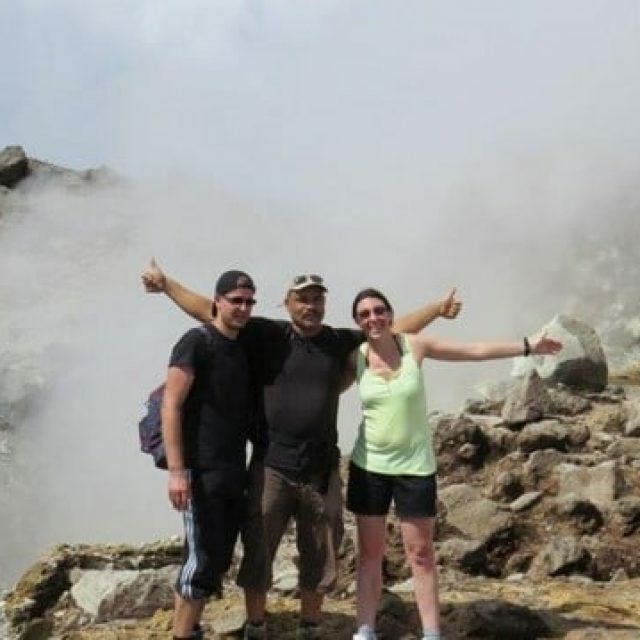 There has been more and more tremors on the active volcano the Soufriere in Guadeloupe. 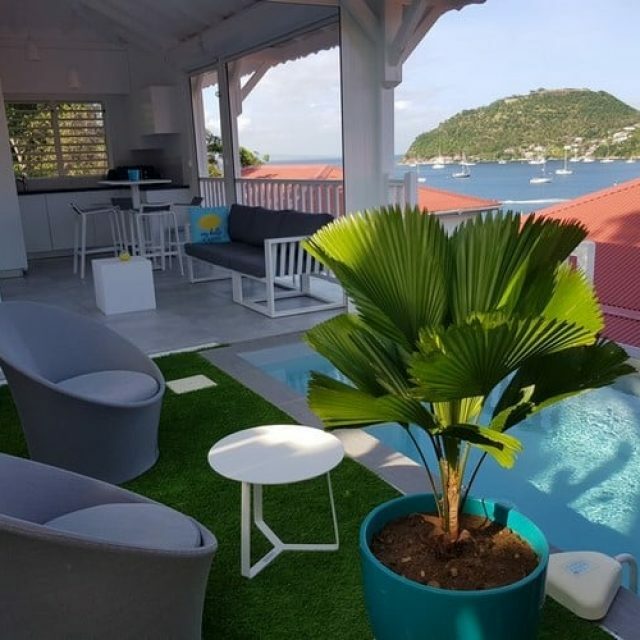 Cities that are located just around the volcano like Basse Terre, Saint Claude and even Petit Bourg are feeling the effects of these small but very frequent tremors. The scientific community says that we shouldn’t be to worried about it but the inhabitants of these cities are asking more questions about their security. There has been more poisonous gas activity with sulfuric gas seeping from the cracks and fissures along the dome slope. Which in return is making it kind of impossible to go all the way to the crater now. 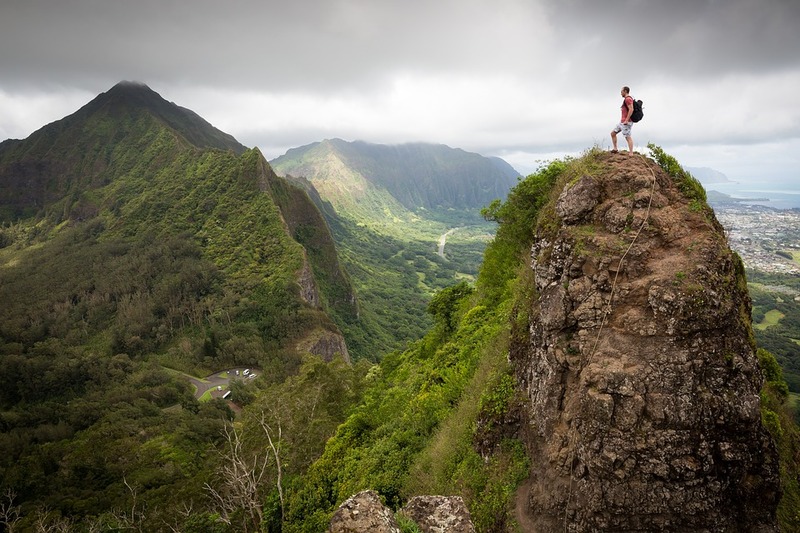 That is why the local government has taken the precautionary measures to close the top tier of this hiking trail that climbs up the slope of the Soufriere all the way to the crater. 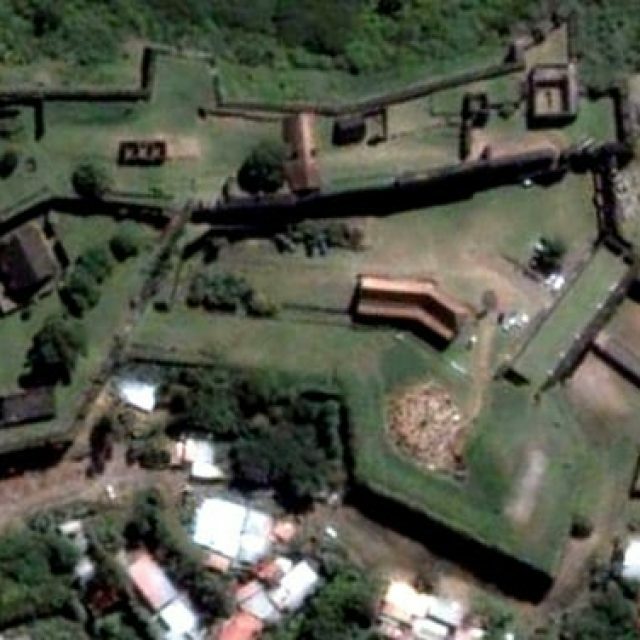 We will provide you with more information on this but as of right now going to the crater of the Soufriere is off limits. 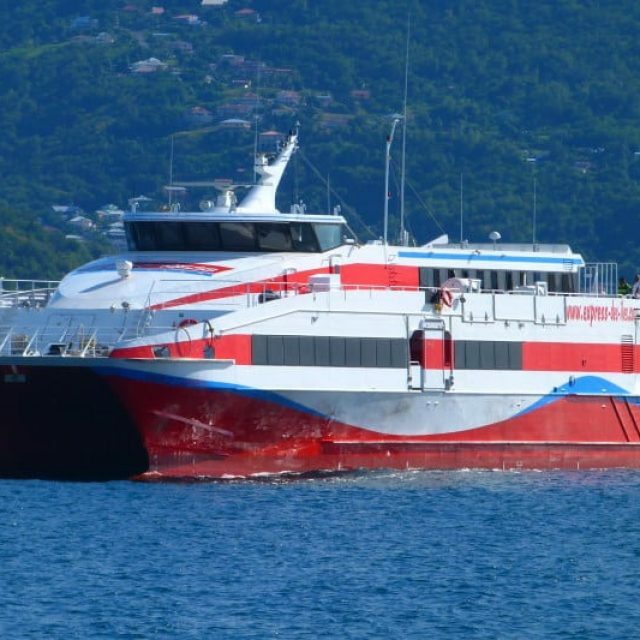 A sequence of volcanic earthquakes began this Saturday in the Soufriere area but the security level remains yellow. 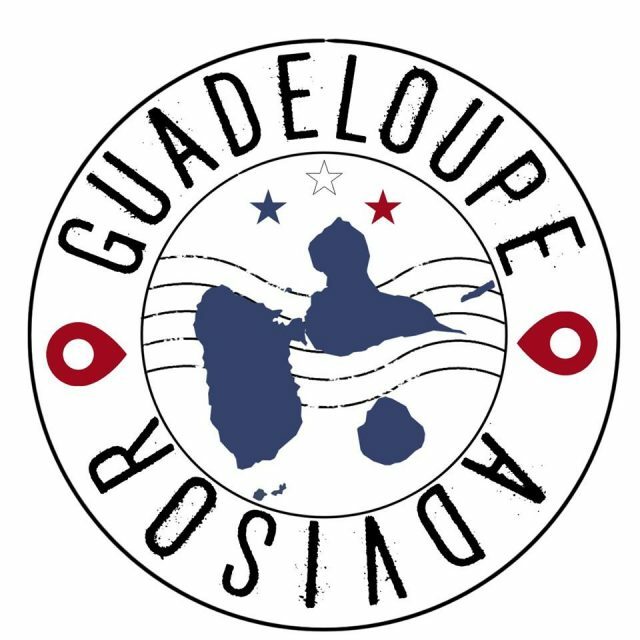 Since Saturday, the scientific community observatory of Guadeloupe recorded 88 earthquakes of very small magnitude (M <1). Luckily this time none of the tremors were felt by the population. 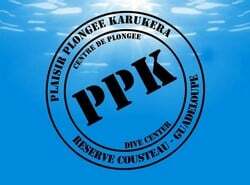 A new event that is located under the dome of Soufriere more than 2.5 km deep. The observatory maintains the security level of yellow. The probability of eruptive activity in the short term remains low. However, given the renewed seismic and gas activity recorded since February 2018, a change of behavior of the volcano has been observed such that we can not exclude an intensification of the phenomena in the future. As a result, the OVSG-IPGP is in a state of high alert. 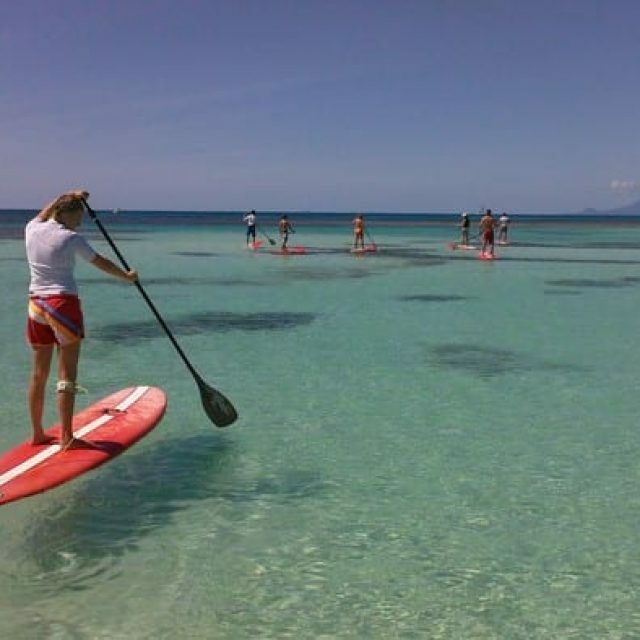 Surfing Guadeloupe is an ideal place to learn how to surf and paddle board in a safe environment and in turquoise waters at 30 ° all year round. 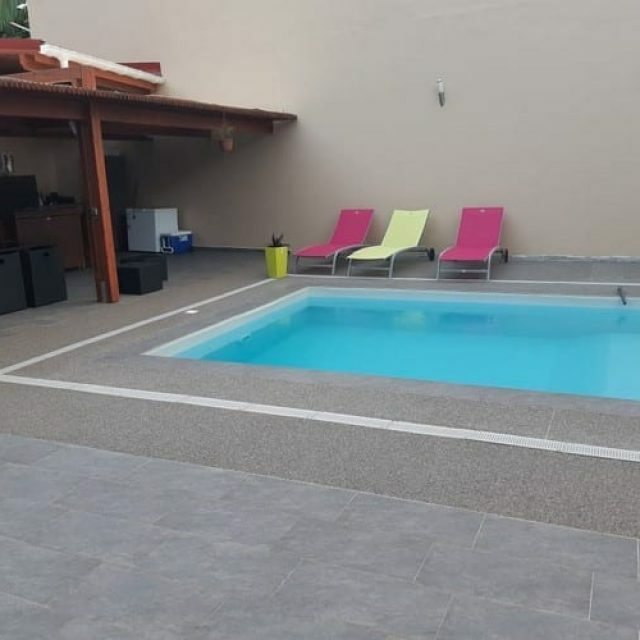 Three adjoining studios in front of a pool of 12 meters by 6 meters. 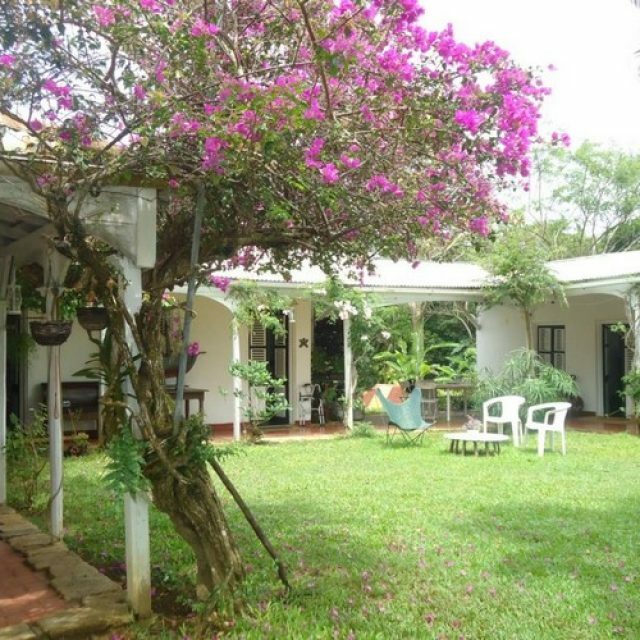 Each studio has a private covered terrace of 15 meters. The terraces are equipped with a kitchenette with all the necessary kitchen items. 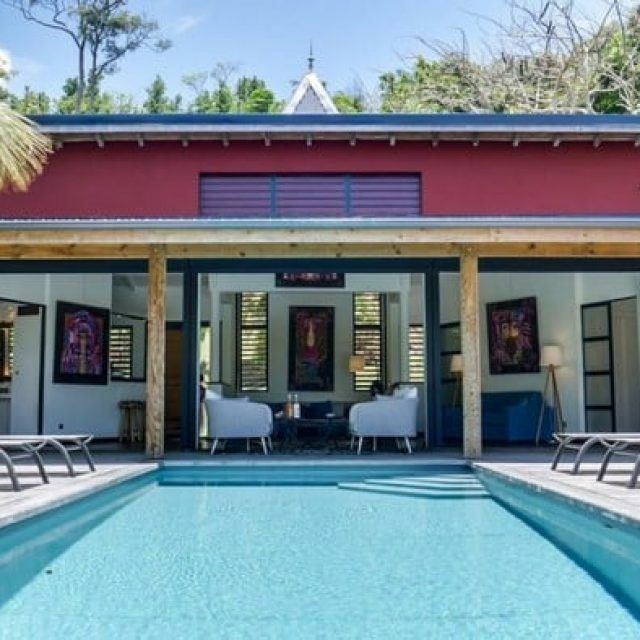 Each studio can accommodate two people. 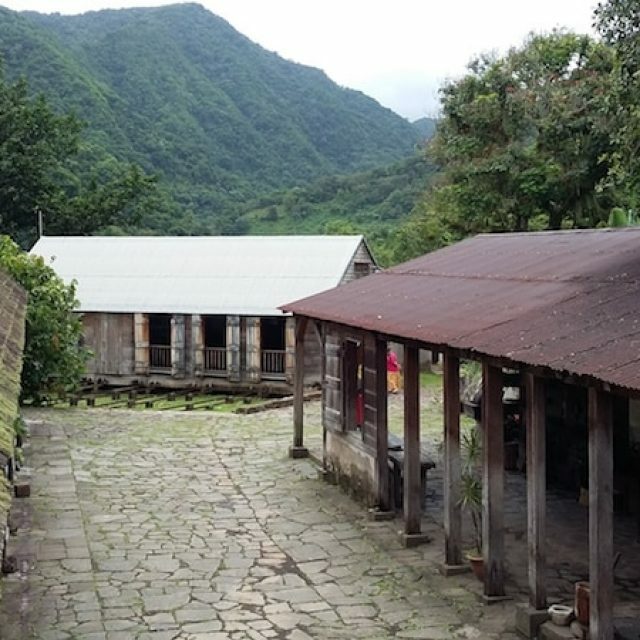 Located near the hot springs of Bouillante, the base will welcome you every day from 9 am to 6 pm. Excursion in 4 x 4 Land Rovers Defenders. 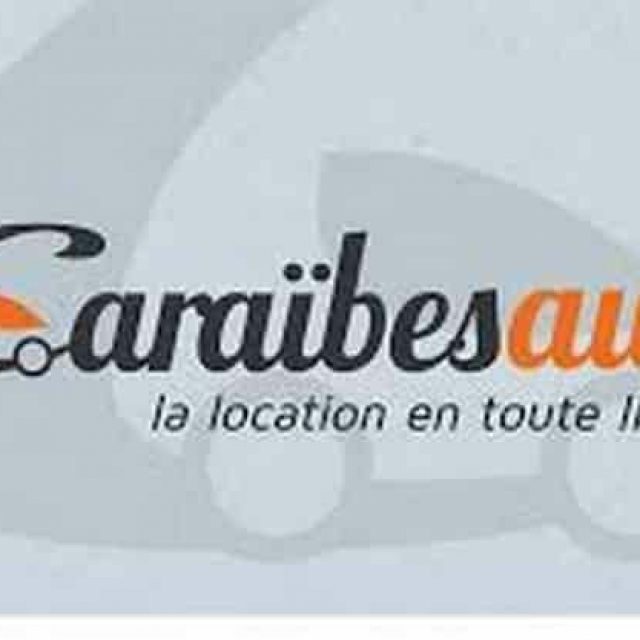 From your hotel, your villa or bungalow, we will pick you up for an unforgettable full day excursion of Guadeloupe in Land-Rovers. 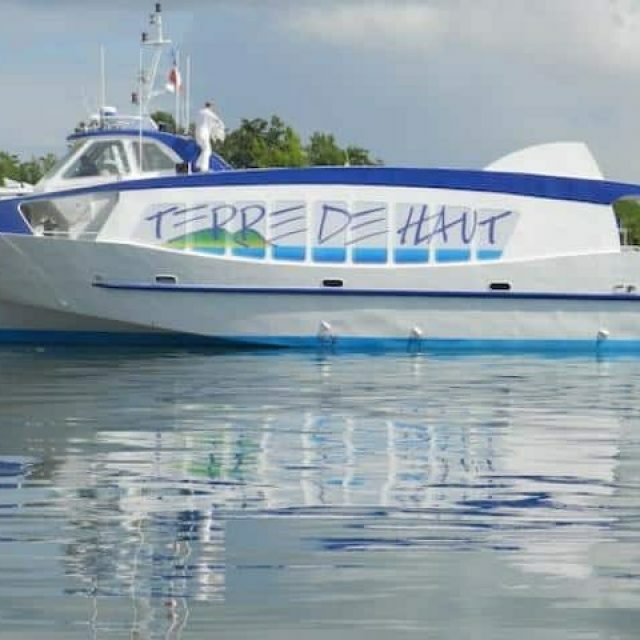 Otantik tours invites you to think outside the box and discover Guadeloupe in a friendly atmosphere and by small groups to better communicate with the local population. 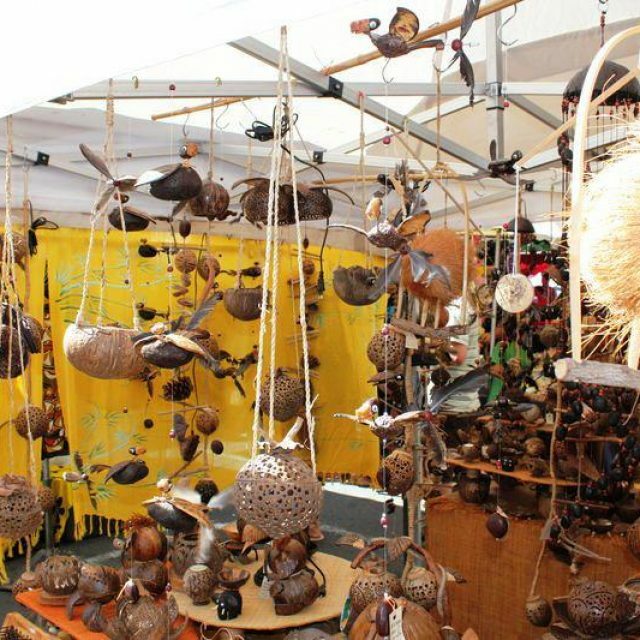 Visit Guadeloupe the Otantik Way ! 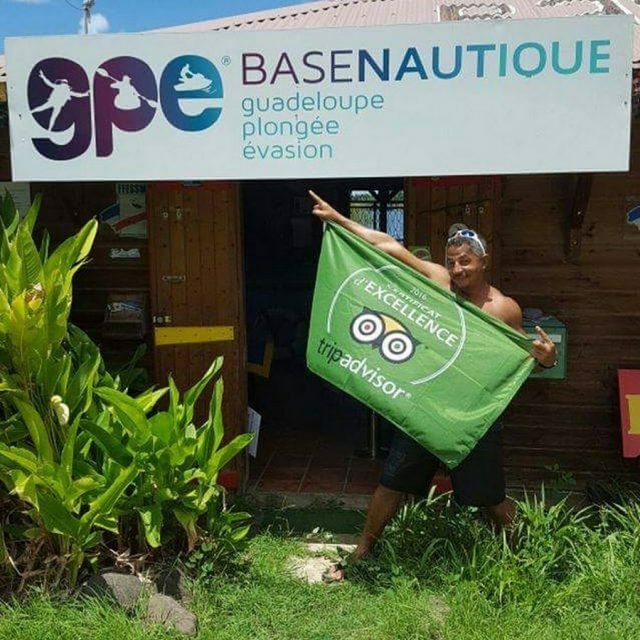 At Noa Dive Center Guadeloupe, you are welcomed by a friendly, enthusiastic and competent team. ‘Dive in Good Company’ is the club’s motto. 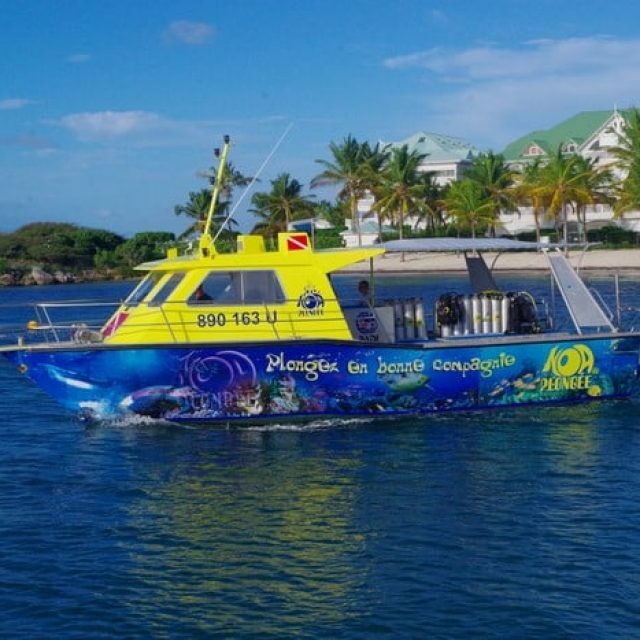 We have a wide range of extraordinary dive sites: Bench of Vessels, Petite-Terre Nature Reserve, Point des Chateaux and Désirade. 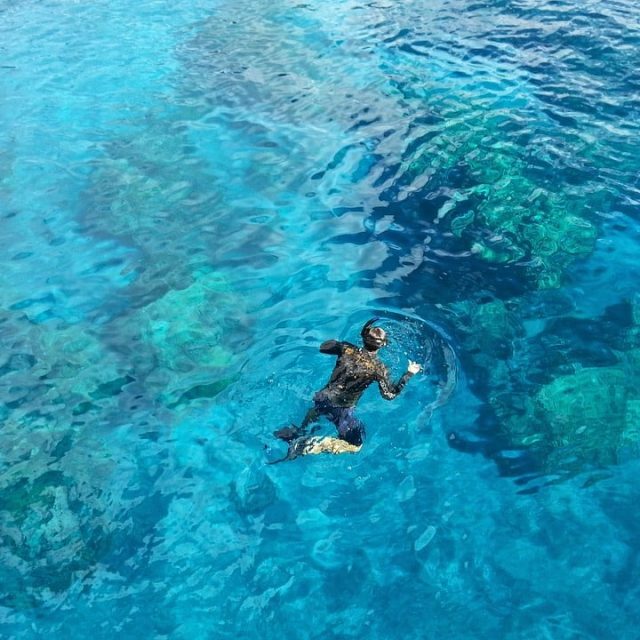 Unforgettable dives await you in the warm, clear waters of the Caribbean Sea. 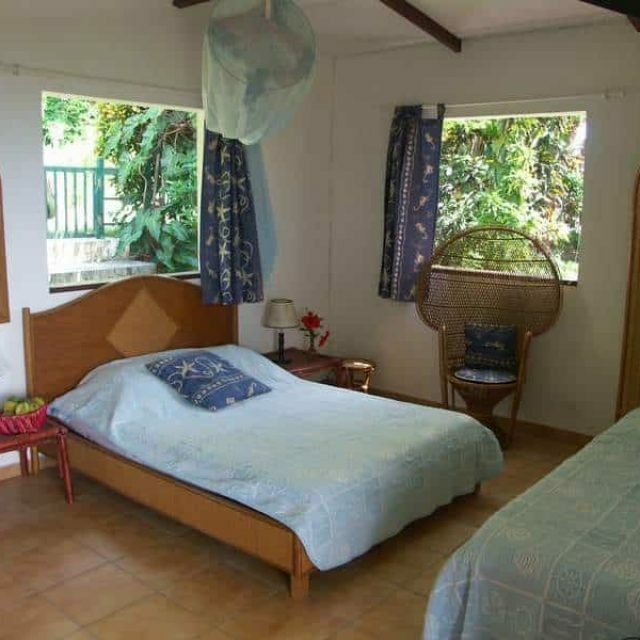 This wonderful 2 bedrooms is at 99-128 € night respectively and can be rented out together or individually. 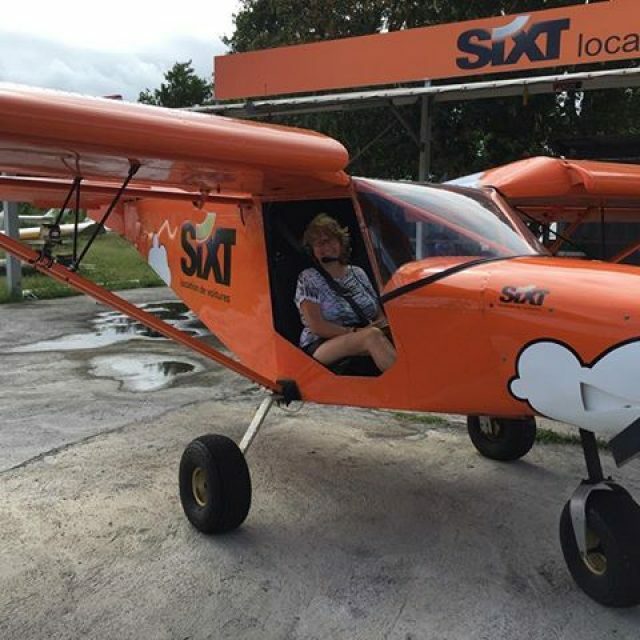 Site seeing by airplane, excursions to other islands and airplane rentals for anyone who is interested in taking an airplane to view the many different little islands that surround the mainland of Guadeloupe. 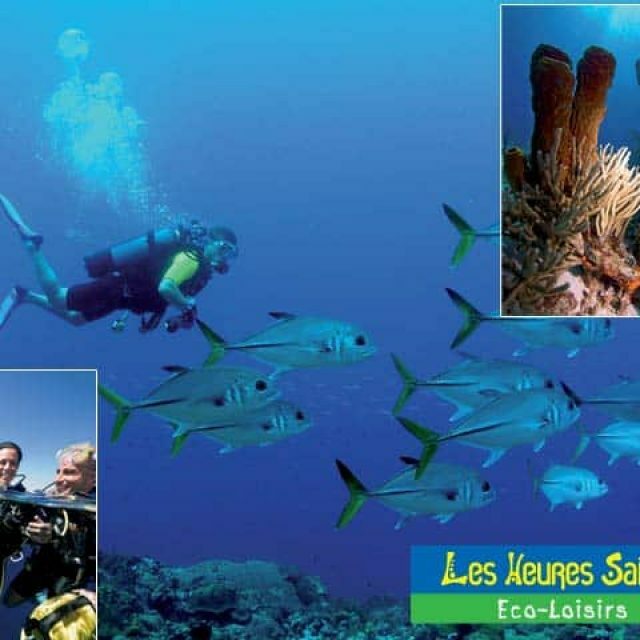 Cousteau Marine Park Visit 3 different kinds of landscapes, 3 snorkeling spots including the sea turtles area. 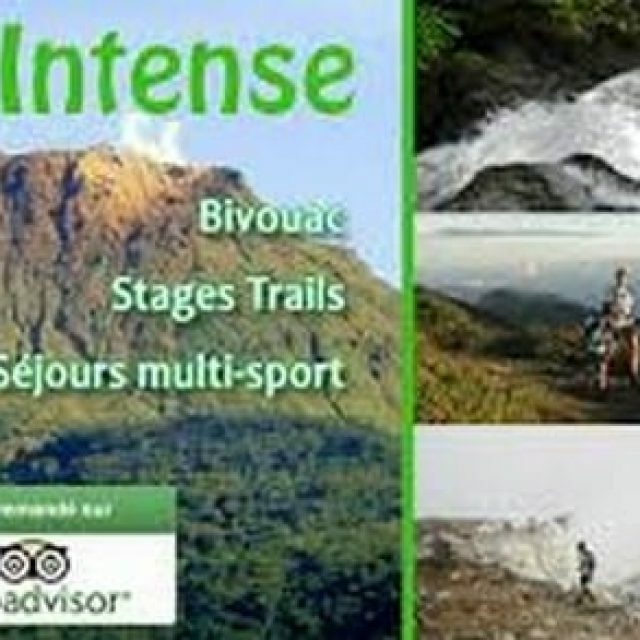 Tamtam Pagaie, offers various walks and hikes from the half-day to the day, with the relaxation of nature. 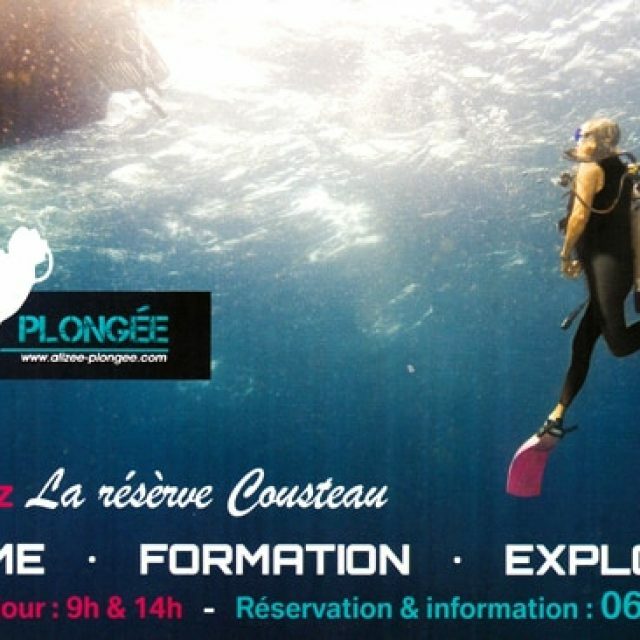 Alizee Diving offers you the unique experience of diving of the coast of Guadeloupe and the Reserve Cousteau. 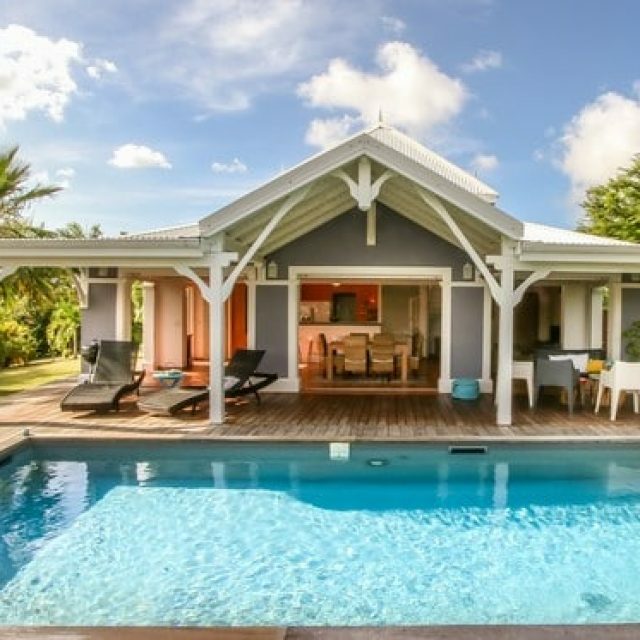 The Villa Blue Lagoon Saint-François is a beautiful villa with private pool an amazing view. 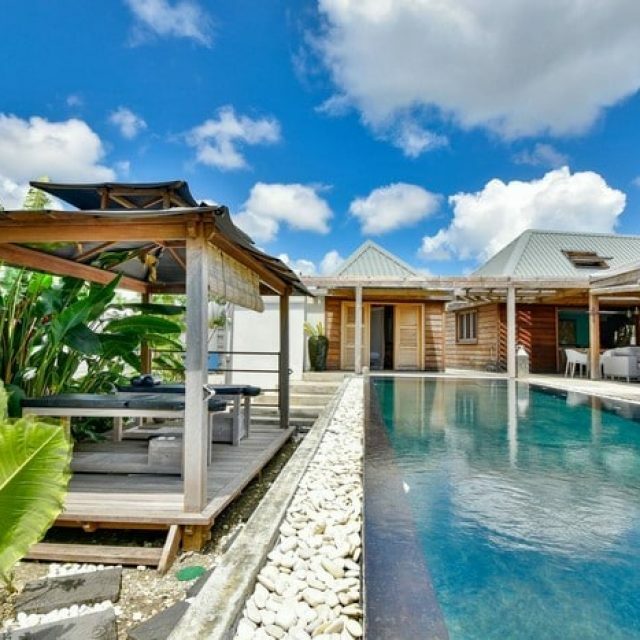 It has 3 bedrooms with a total of 7 people maximum. Guadeloupe Advisor is an online tour reservation and booking portal, connecting travelers with tourism service providers in the Guadeloupe Islands. 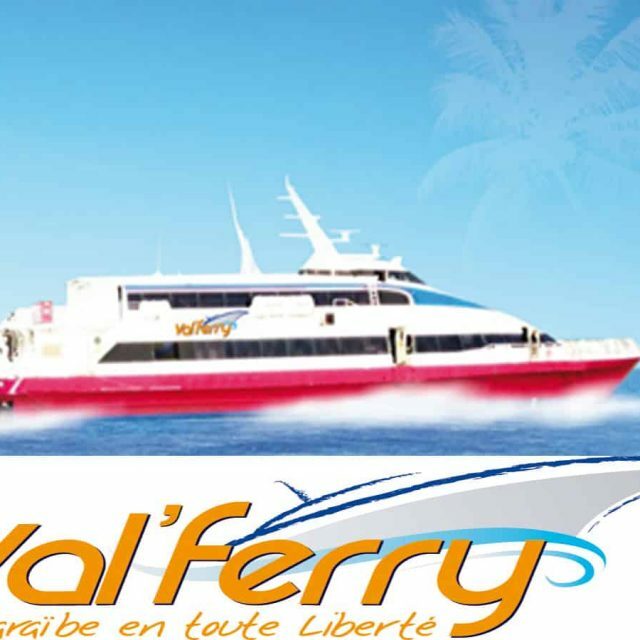 From Basse-Terre to Grande-Terre, from Les Saintes to La Désirade, we promote the best Tours, Tickets, Activities, Excursions & Things To Do. 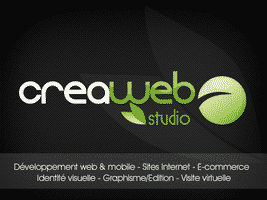 We are fully committed to provide the best service to our clients, in both English and French. 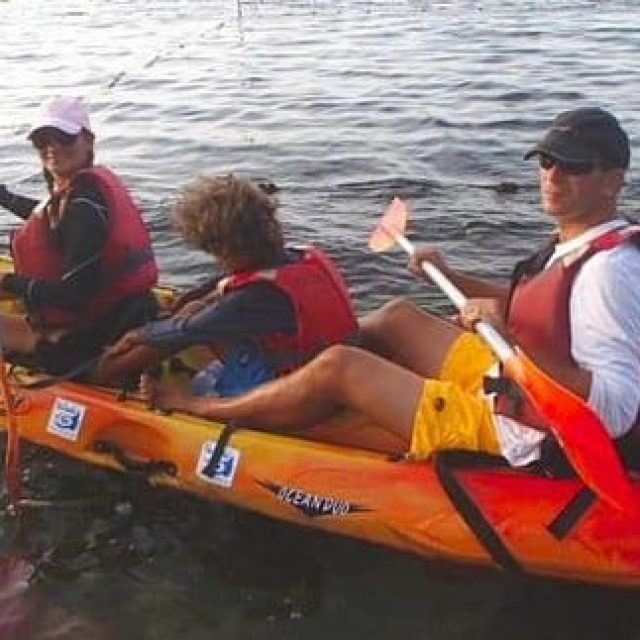 Kayaking for discoveries. 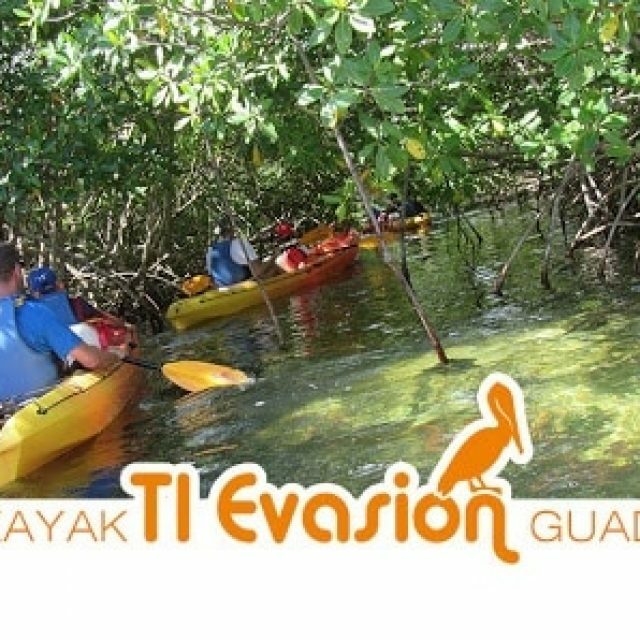 Several types of kayaks (sea, unsinkable, transparent shell) are at your disposal to satisfy all your desires. 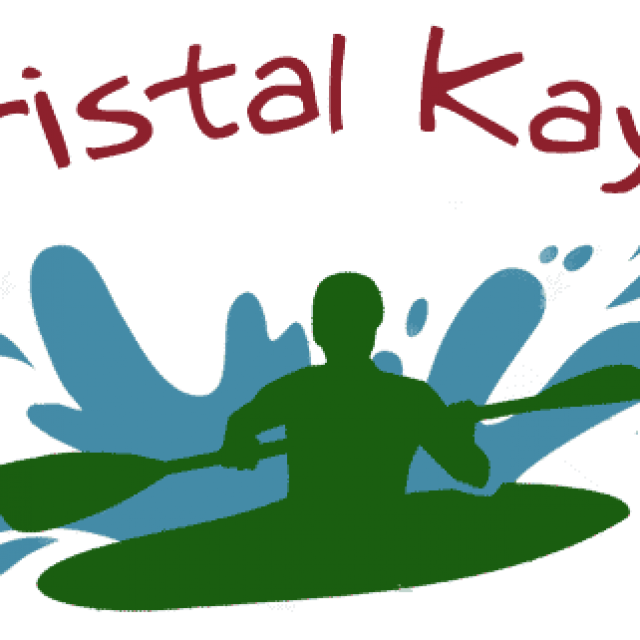 Located in Guadeloupe, KRISTAL KAYAK offers free hiking or guided kayaking, as well as canoe rentals. 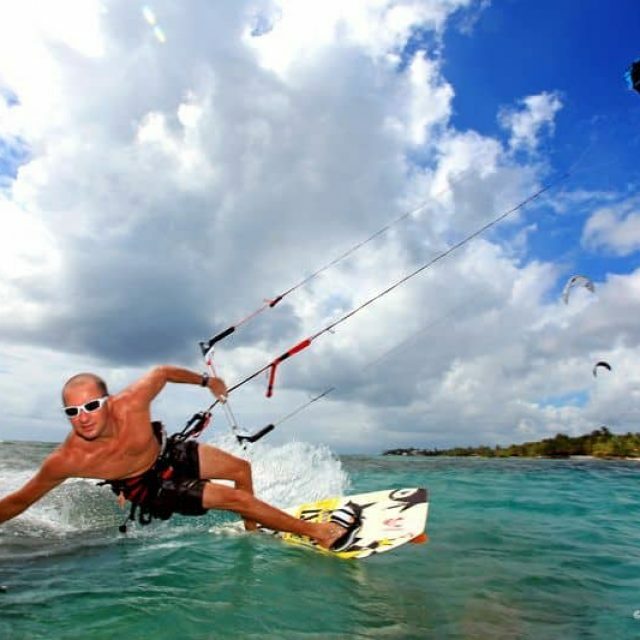 Kayaking, Canyoning, Parachute, Paragliding, surfing and kite lessons … Everything is there to make your stay unforgettable. 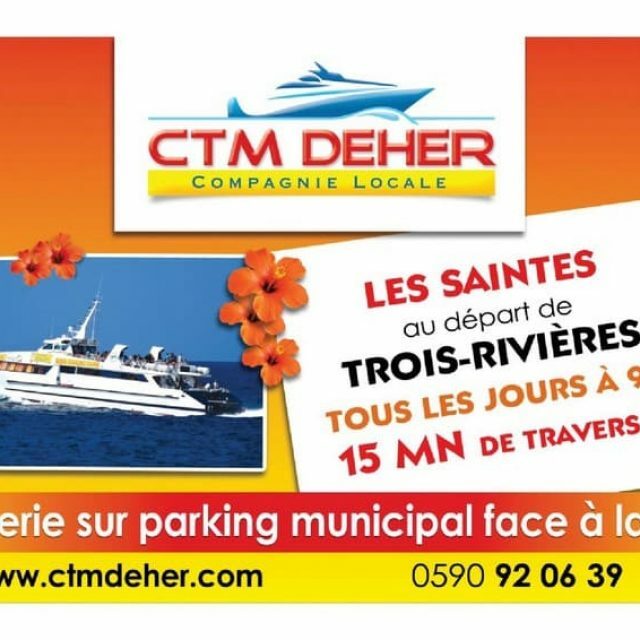 I also offer car and boat rentals. Swim, jump, slide, follow the whims of the river. 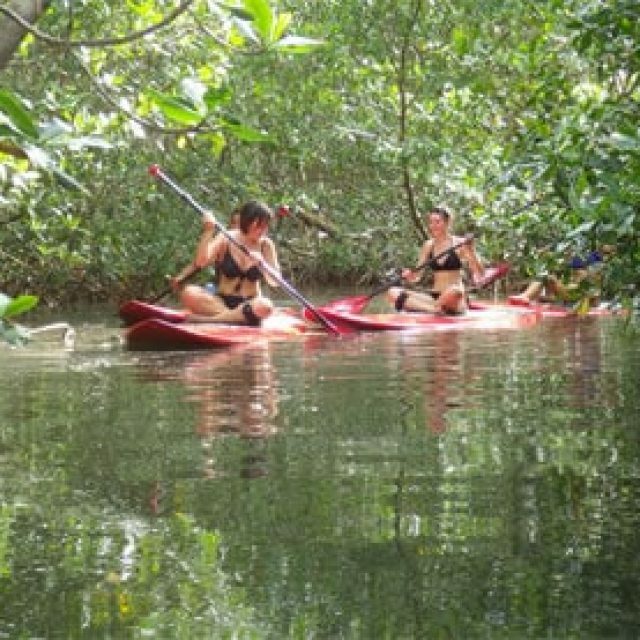 Immersion in the heart of the tropical forest, to discover a preserved nature. 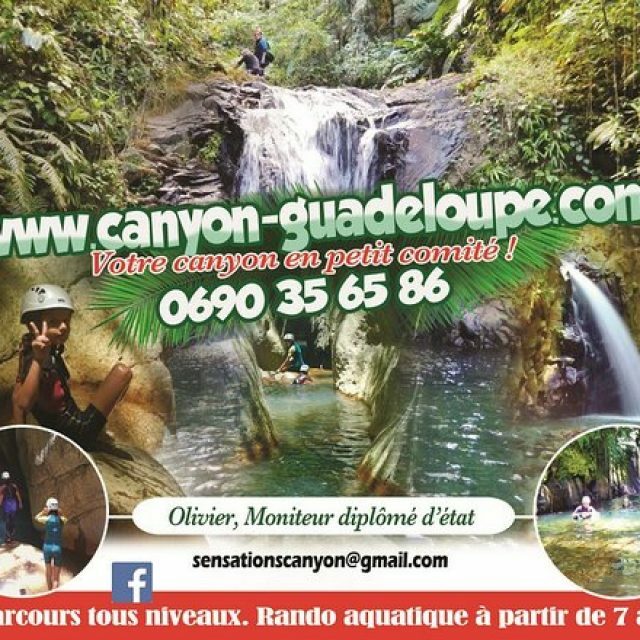 Accessible from age 7 for water hiking, the difficulty increases for Level 2 and Level 3 canyoning reserved for more seasoned athletes. For your comfort and safety, green-intense equips you with long-lasting overalls with specific protections for canyoning. Let yourself grow some wings !! 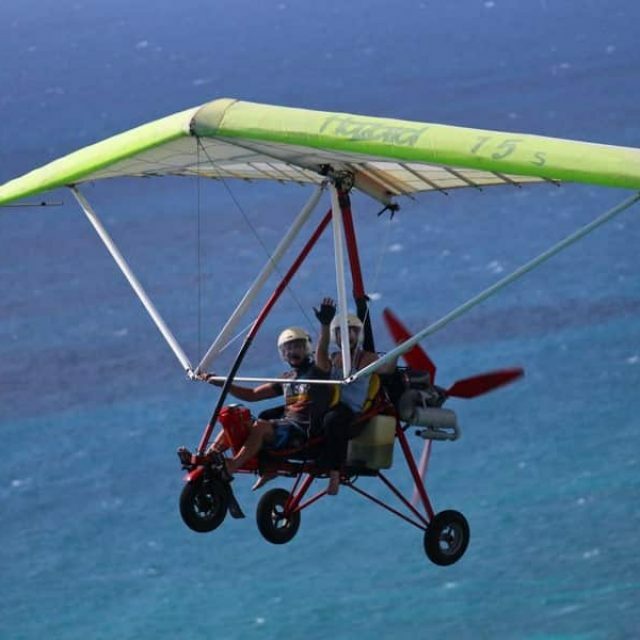 Fly under a delta wing and glide gently over the lagoons of Saint Francois. Discover the softness and stability of the flight with an exceptional panoramic view! 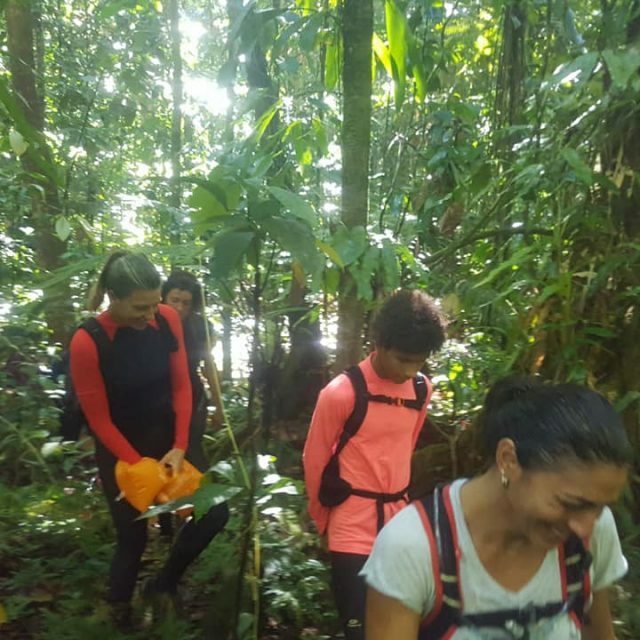 Team Rando is a hiking club with a lot of active members that go out every weekend and go hiking for a few hours and for some the whole day. 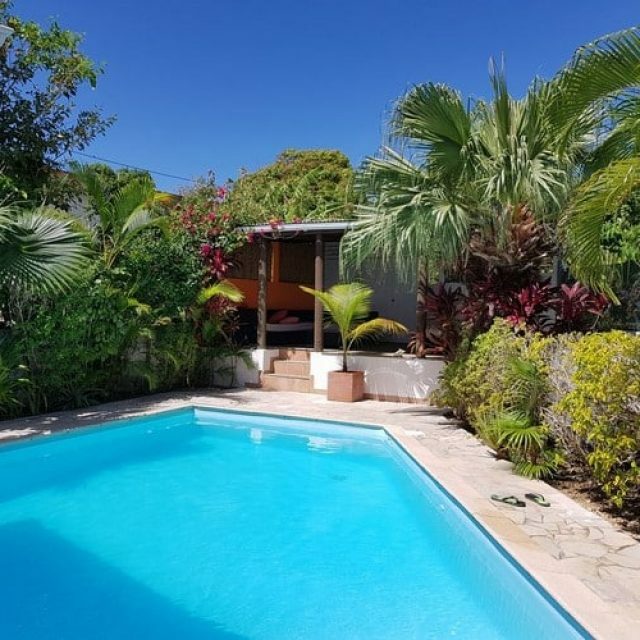 This beautiful private residence has 4 identical apartments all furnished for rent with a common pool is next to all the commodities and only minutes away from all the best beaches and spots in Guadeloupe. 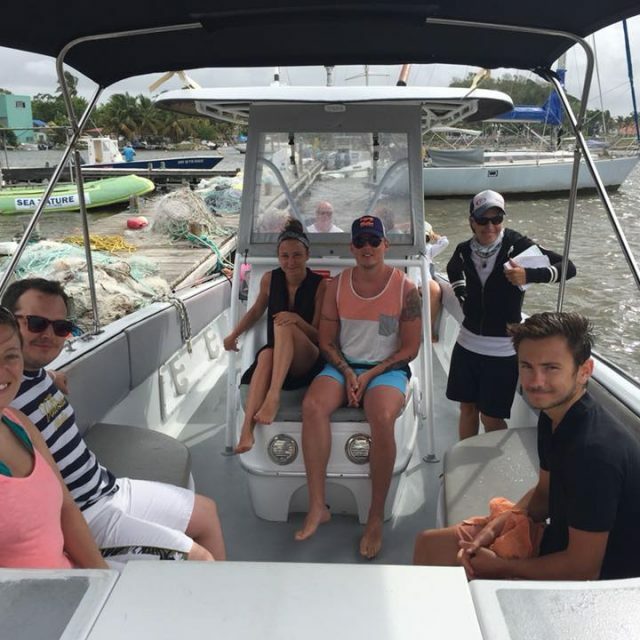 We do house rentals, car rentals, boat tours, kitchen courses and more. 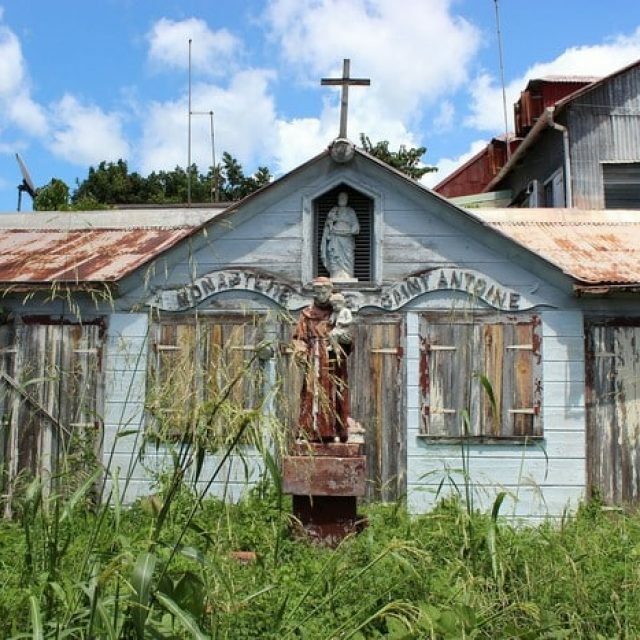 Small archipelago 15 km south of Guadeloupe, Les Saints will enchant you! 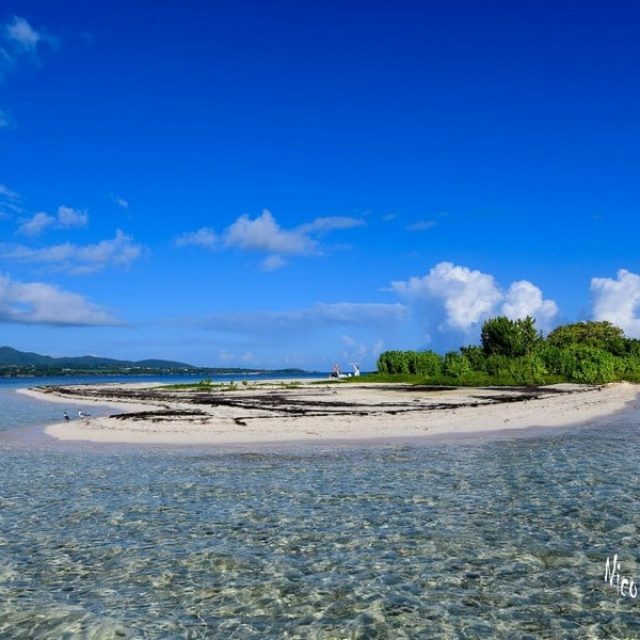 Bay of the Saints is a member of the Club of the most beautiful bays in the world! 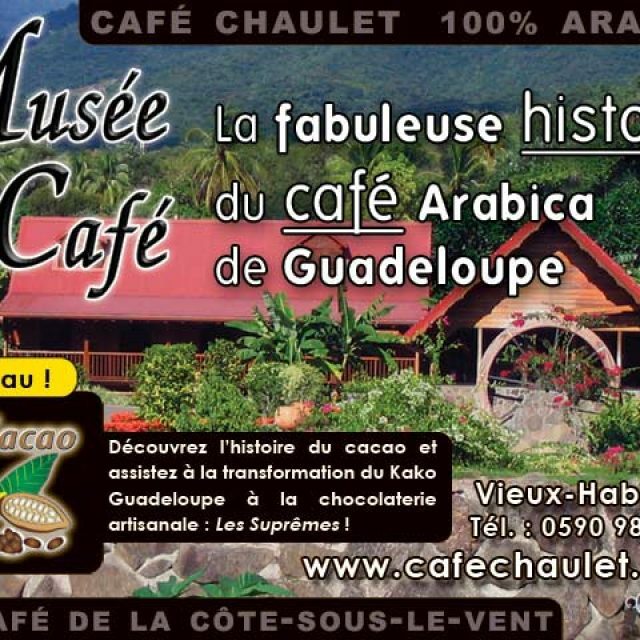 The coffee culture in Guadeloupe. 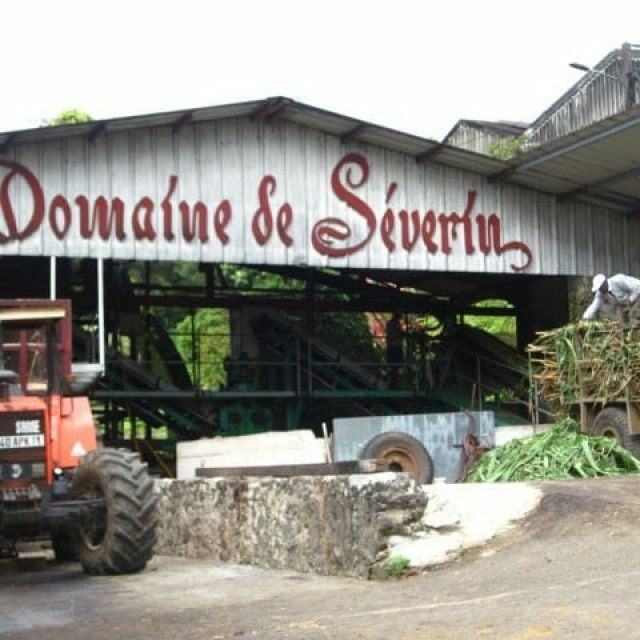 Formerly a major agriculture staple of Guadeloupe, coffee has experienced since the second half of the nineteenth century an inexorable fall … but not irreversible. 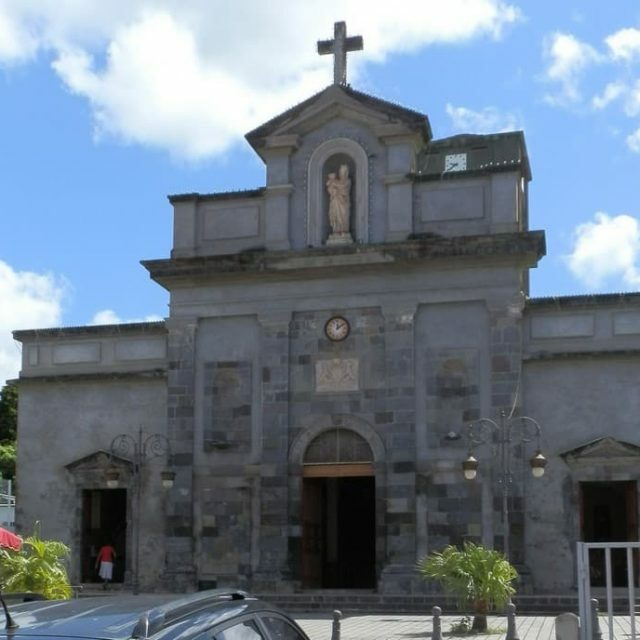 The Clairefontaine dwelling in the Saint-Robert district of Baillif is the birthplace of Joseph of Bologna, St. George’s, on December 25, 1745, known as the Knight of St. George. 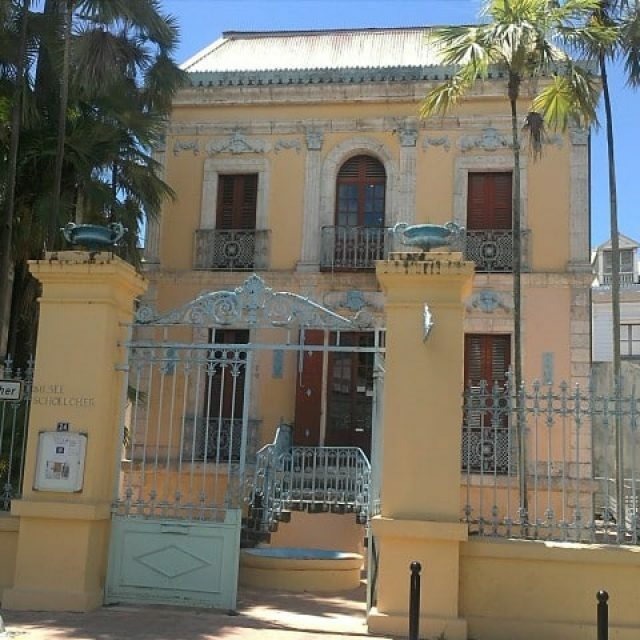 The Coquille House or House Turlet is a building located at No. 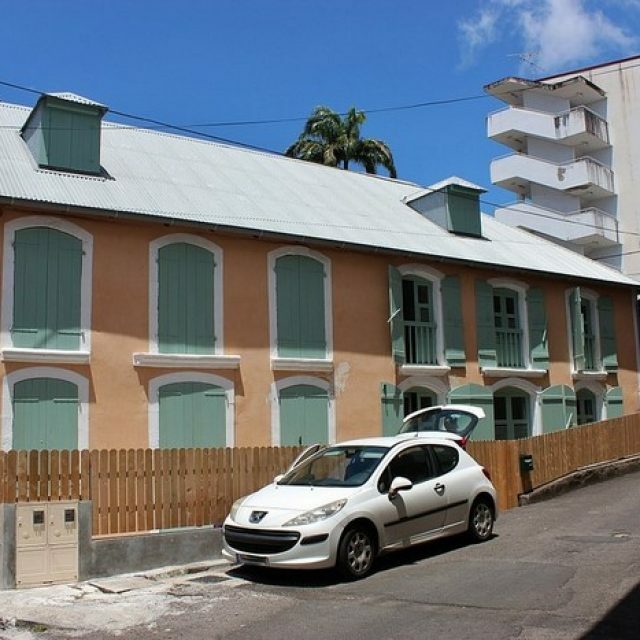 4 Rue du Nègre-Sans-Peur in Basse-Terre. 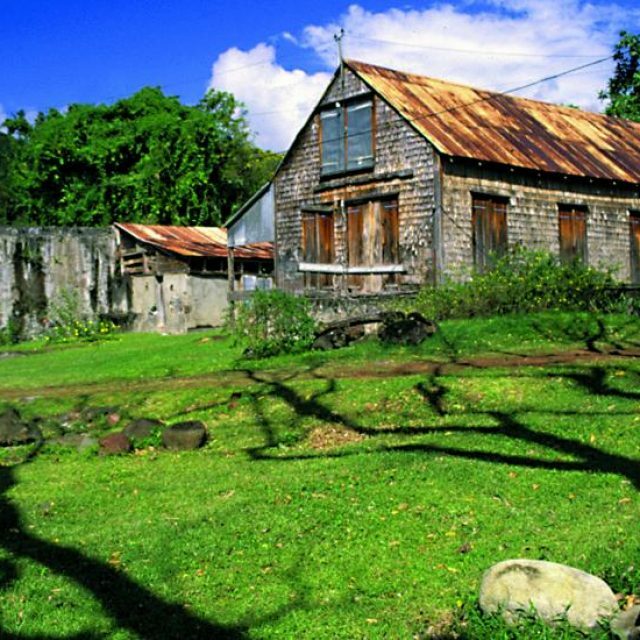 Built in the late eighteenth century, it is one of the oldest buildings in the city and the archipelago. 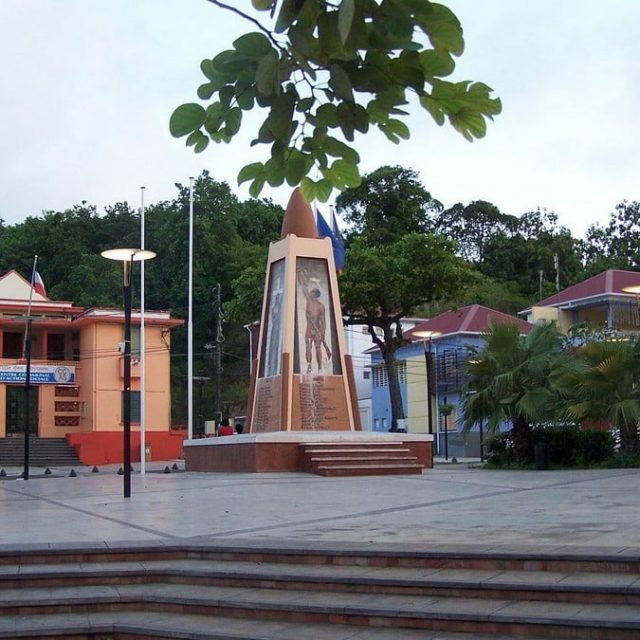 It was listed as a historical monument in 1987 and classified in 1990. 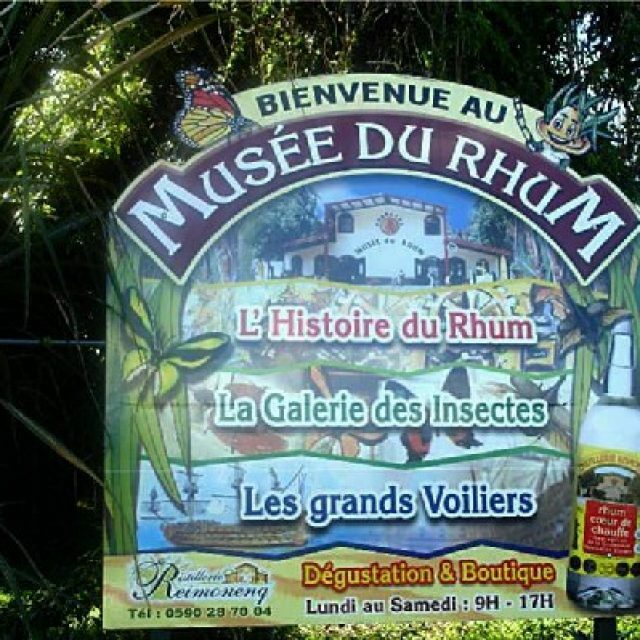 Museum of rum dating back from the middle the 19th century with an outstanding quality of rum. 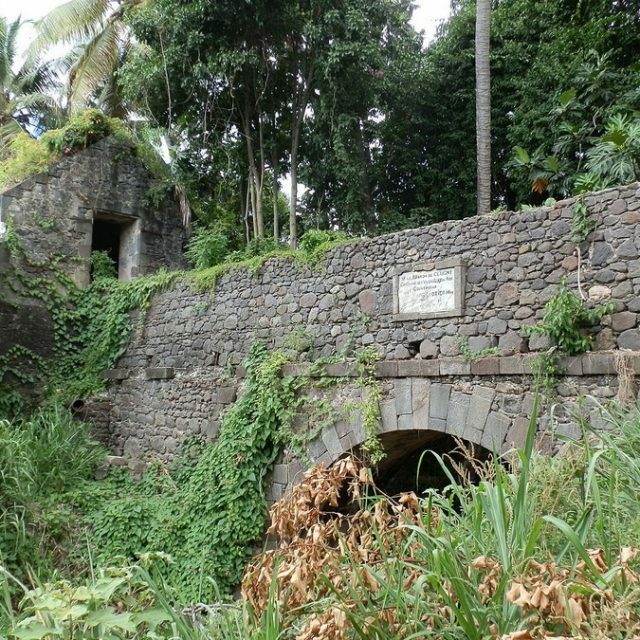 This site is full of history from over the hundreds of years of import and export of the sugar and rum trade. 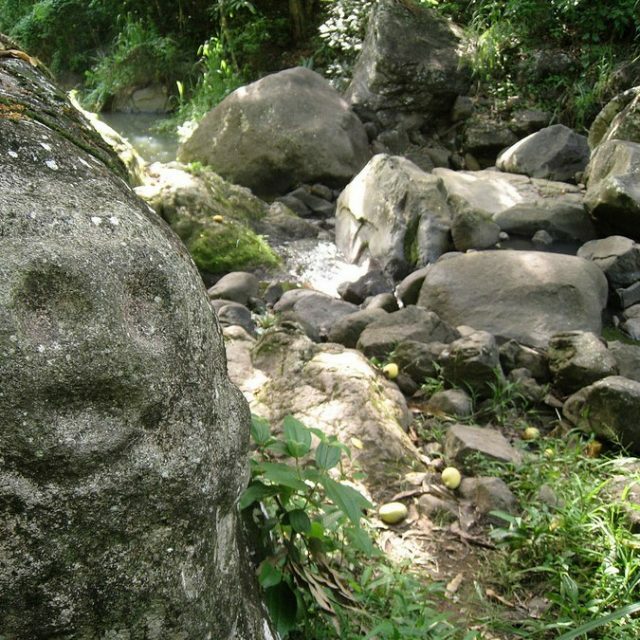 A really rich culture full of original artifacts still in it’s natural state. Marie-France Blandin-Casalan, mistress of the place and historian of the arts, today presents the dwelling Bouvier to the visitors. 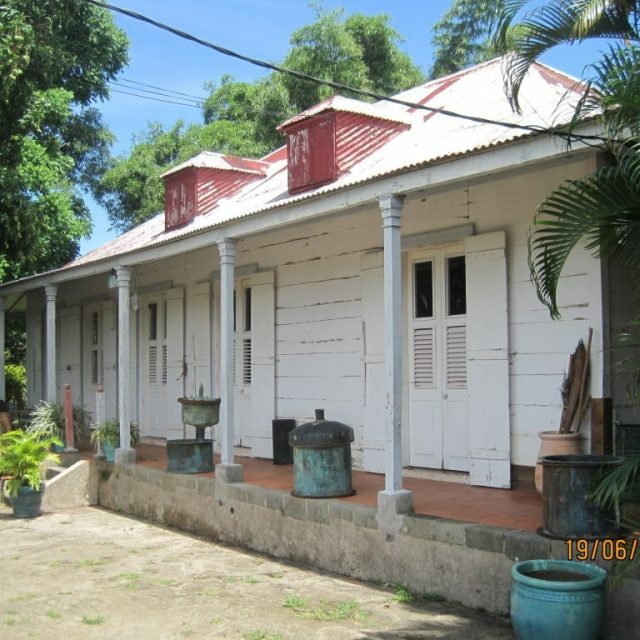 The house is a real jewel of the historical and tourist heritage of Guadeloupe. 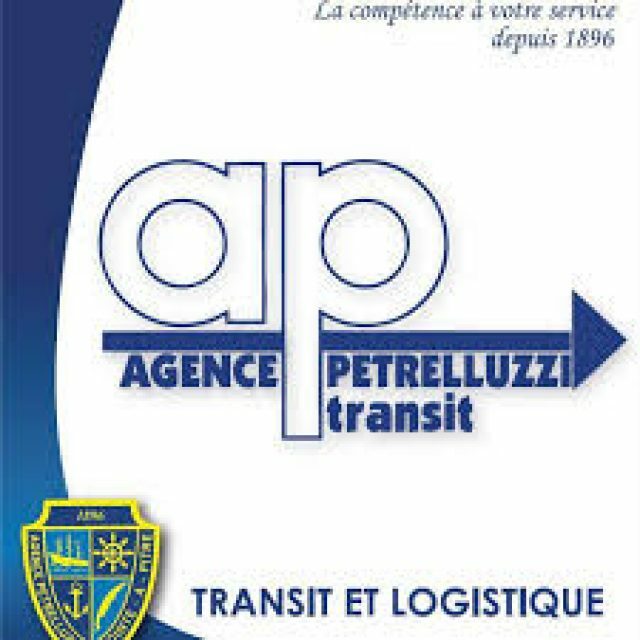 Morbi suscipit porta justo, sit amet auctor est ullamcorper id. Etiam iaculis tincidunt ligula eu pellentesque. Nam dictum, neque ut tempus fermentum, sem urna cursus enim, sit amet gravida ligula augue vel tortor. 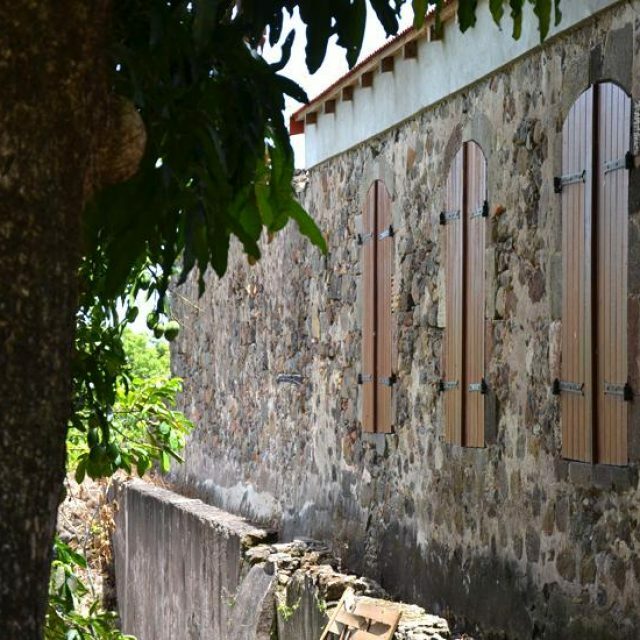 Suitable both for visitors wishing to stroll at their own pace and those seeking more knowledge, La Grivelière offers a journey in the heart of the Creole garden and discover the knowledge and know-how related to coffee and cocoa. 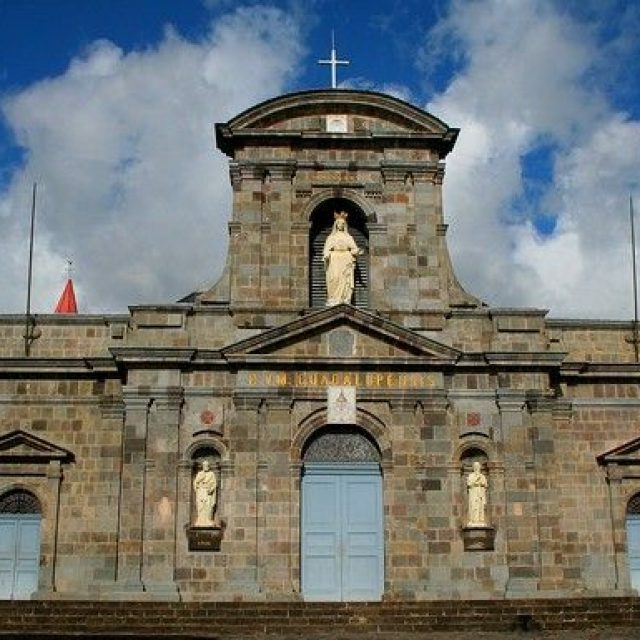 With a capacity of 20,000 kg, the cooler was built between 1829 and 1833 by Piollet, Poulain, Pedemonte and Picard. 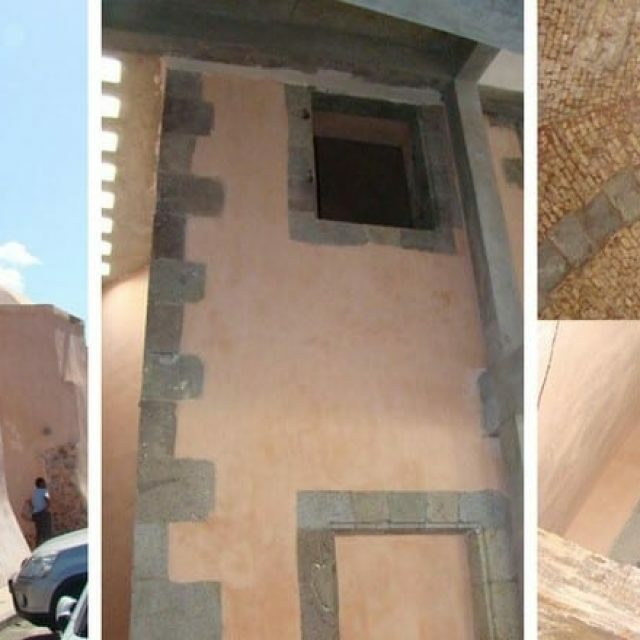 “Built with care in masonry, with vaults of stone, its shape is octagonal inside and irregular outside, because of the staircase and a forearm built outside,” to store ice imported by boat from the United States. 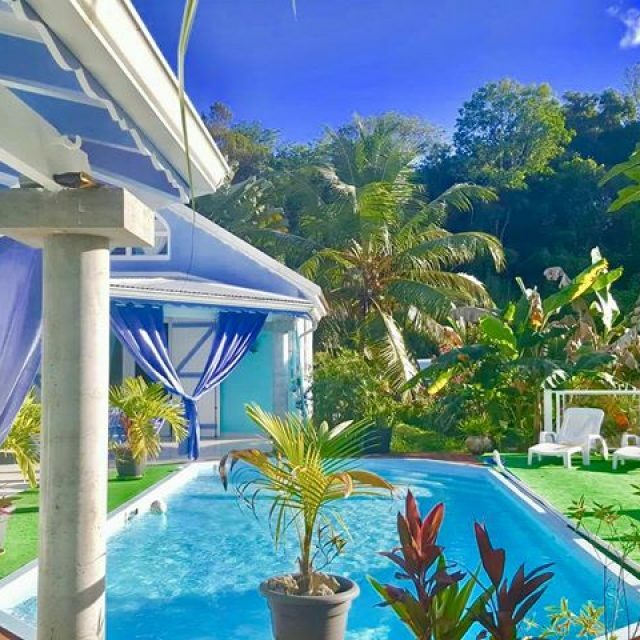 Located in Grande Terre, Guadeloupe, the house of coconut is halfway between Saint-François and Pointe des Châteaux, along the only road serving this tourist site. 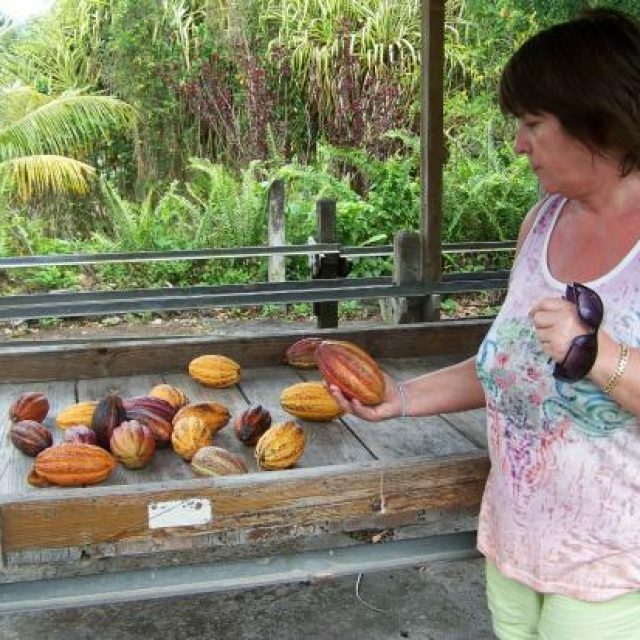 Located in the heart of an old cocoa region, the MAISON DU COCOA with its know-how and its products of the soil is committed to make you discover the original flavor of CHOCOLATE. 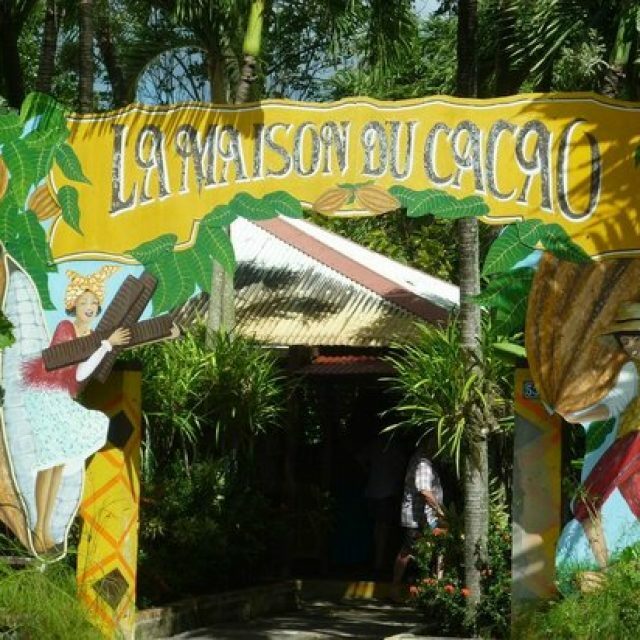 Maison du Cacao, Pointe-Noire, Guadeloupe. 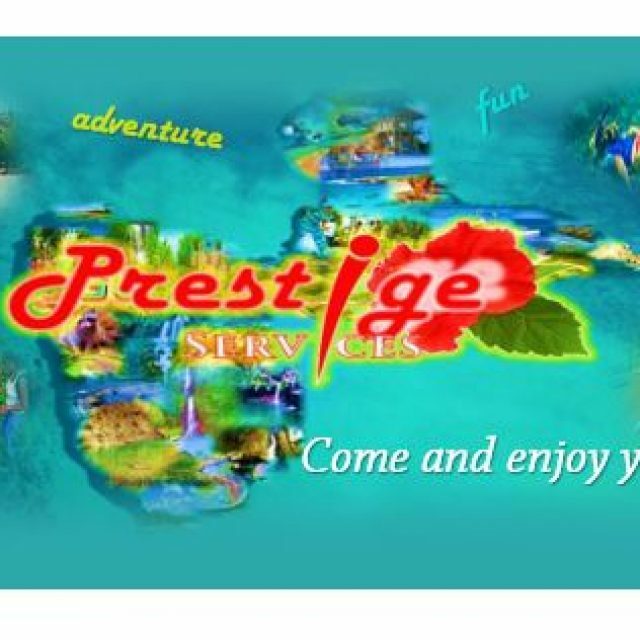 Visit the Collection and literary exhibitions in tribute to the Nobel Prize Alexis Léger said Saint John Perse and different thematic exhibitions. 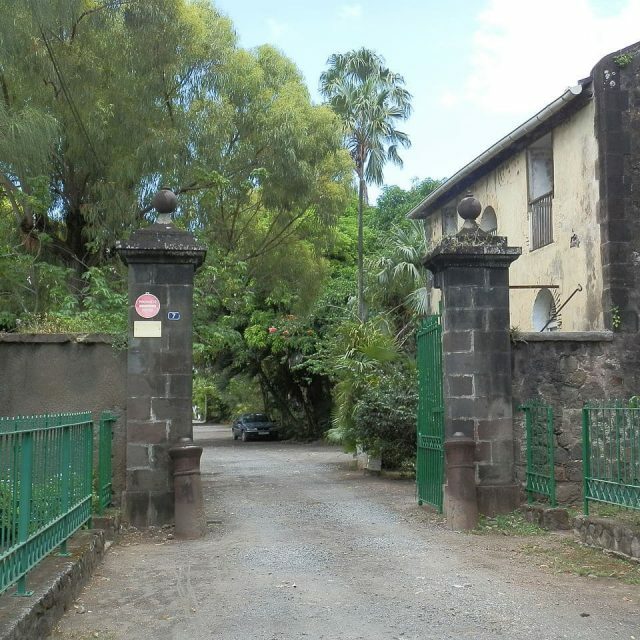 Auguste Lacour, the house of this Guadeloupian historian, built of wood she had a water reserve located at the rear of the house. Tanks allowing the city to be supplied with water. Etienne Crane (77 years old), eldest son of Man Lisa, is the head of a farm of 4.5 ha of arabica coffee plantation. A kilo of this coffee improves 20 kg of coffee. 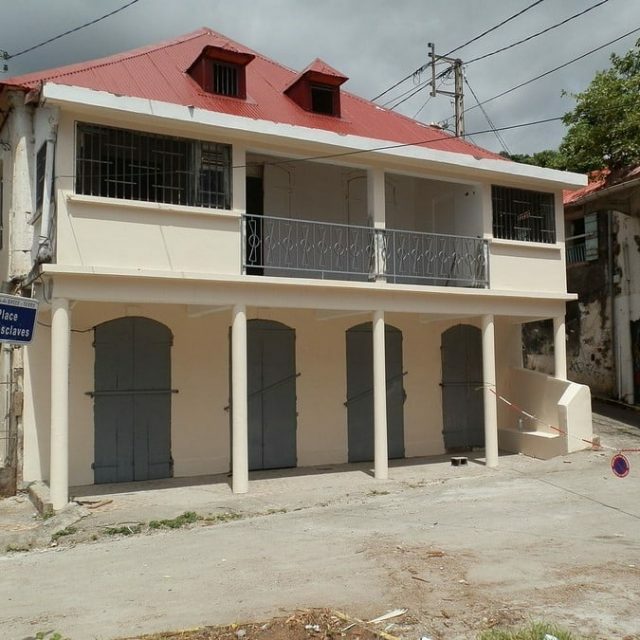 Matis House is a building currently located at number 52 (or 256) Amédée-Fengarol Street at the corner of Bossant Street in Basse-Terre. 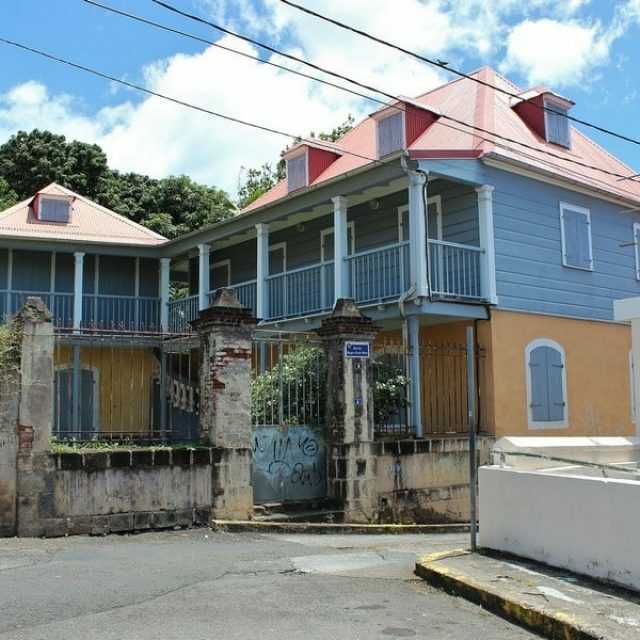 Built around 1770, it is one of the oldest buildings in the city and on the island. 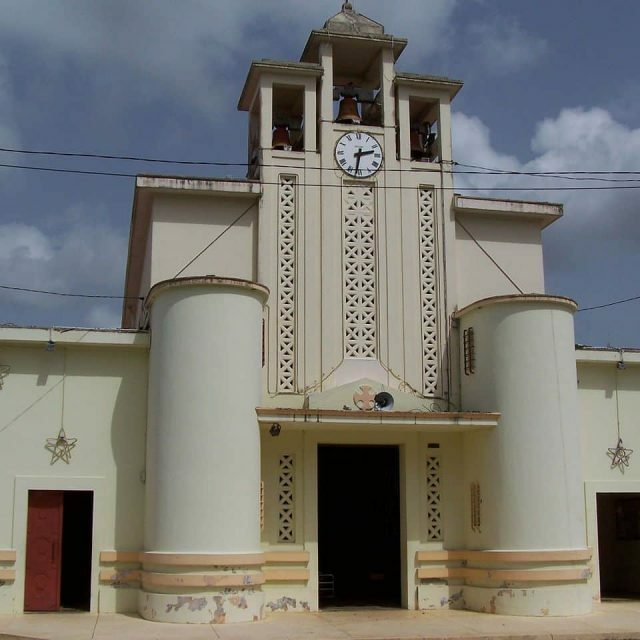 It was listed as a historical monument in 2008. 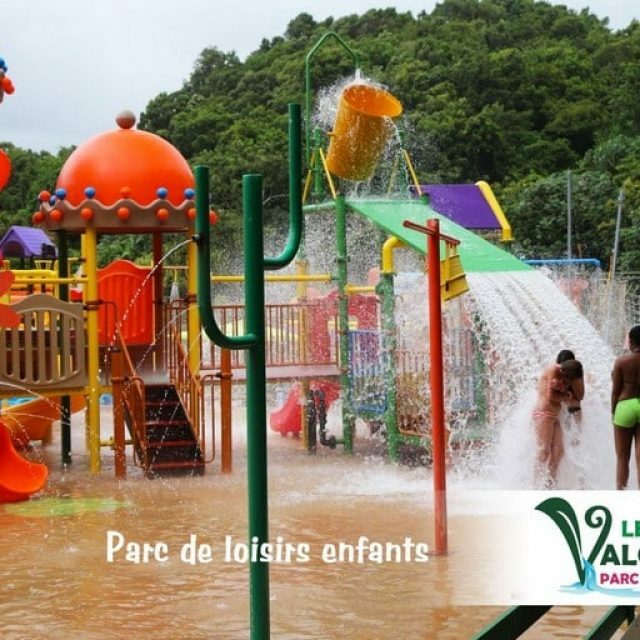 Located in Petit Bourg, between sea and mountains, in a particularly hilly area of Guadeloupe, Les Jardins de Valombreuse offers various leisure activities. 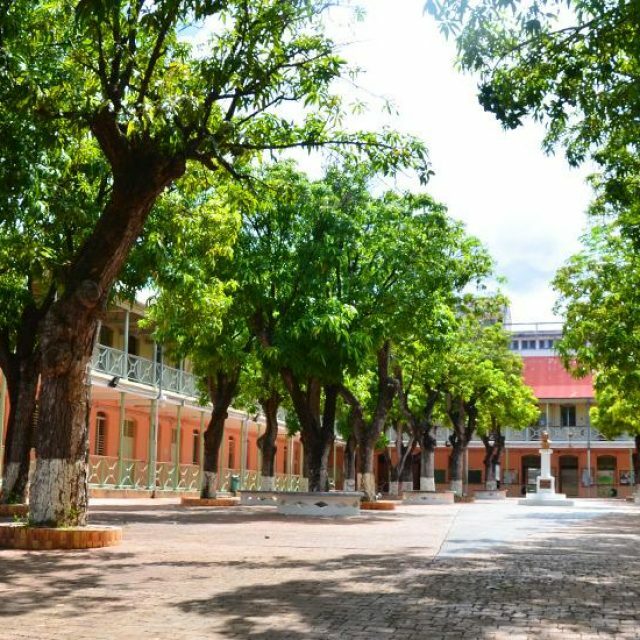 Created in 1990, they are a veritable haven of greenery conducive to relaxation and well-being.Our park, for both children and adults, is open every day from 8 am to 6 pm. 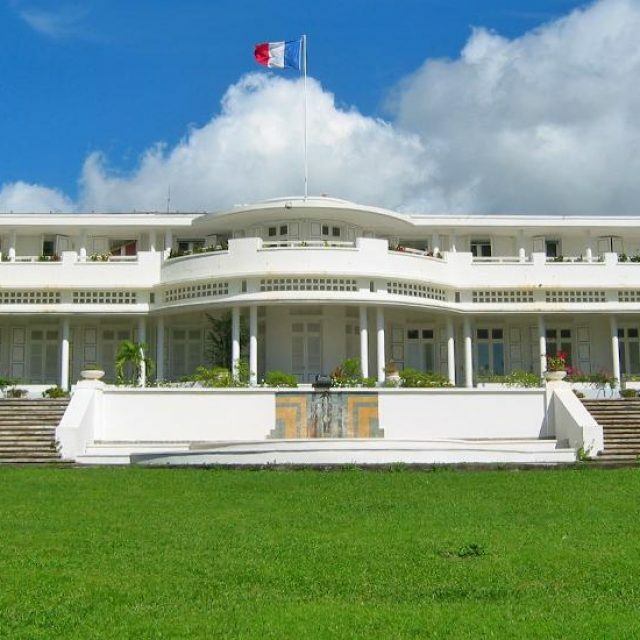 The palace of the General Council is an architectural ensemble located in the city of Basse-Terre. 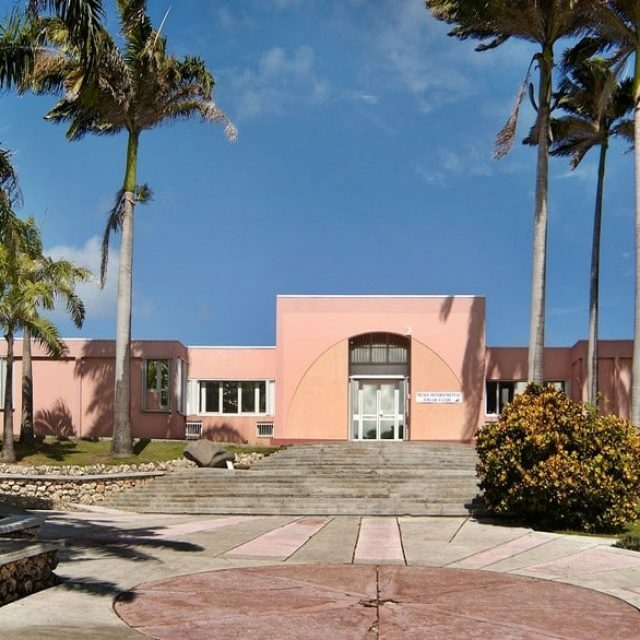 Built in 1935 to become the headquarters of the General Council of Guadeloupe, it has been classified as a historical monument since 1997. 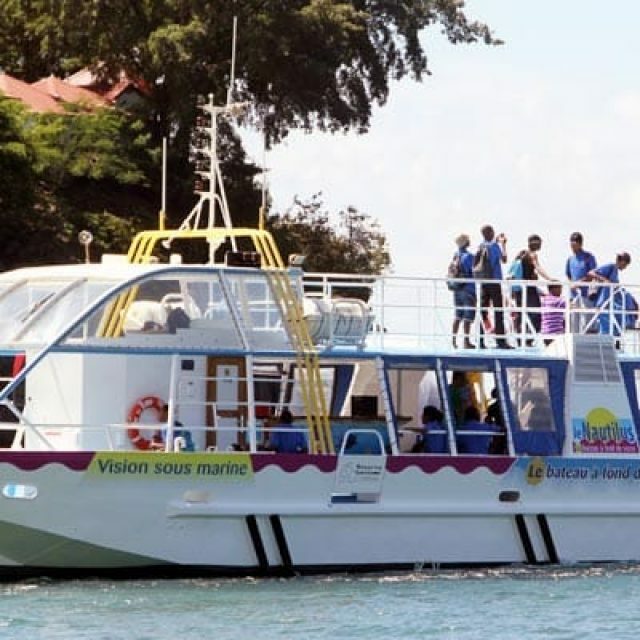 In addition to the attractions offered in the park, Karucoco also offers visitors entertainment and performances that will punctuate your visit with happiness. 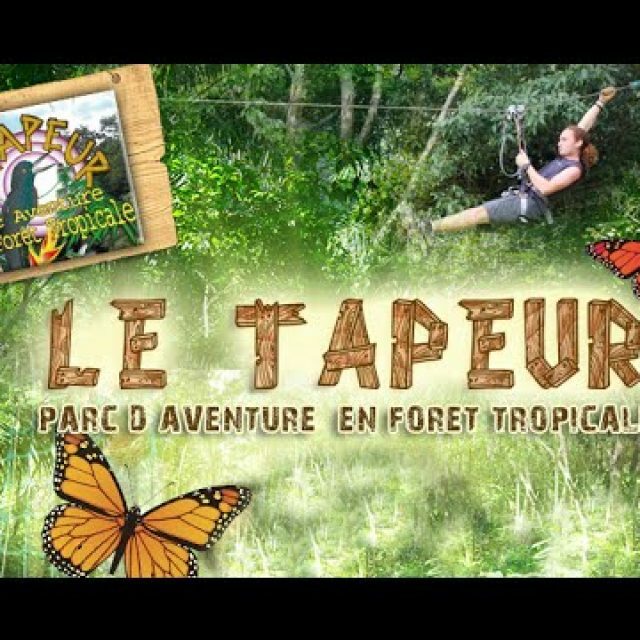 Visiting Guadeloupe then come over and discover the adventure park of accrobranche The Tapeur in Guadeloupe, located in the heart of the tropical forest of Bouillante, in front of the Zoo Park of Mammals towards Pointe-Noire right on the main road of the crossing. On more than 5 tracks gathering all the different levels to satisfy you from 3 to 78 years old. Chapp House is a building located at No. 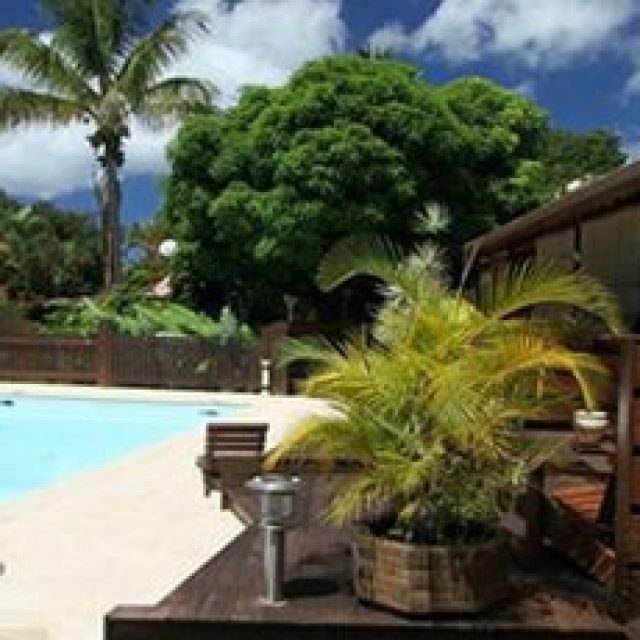 42, Cours Nolivos in Basse-Terre. 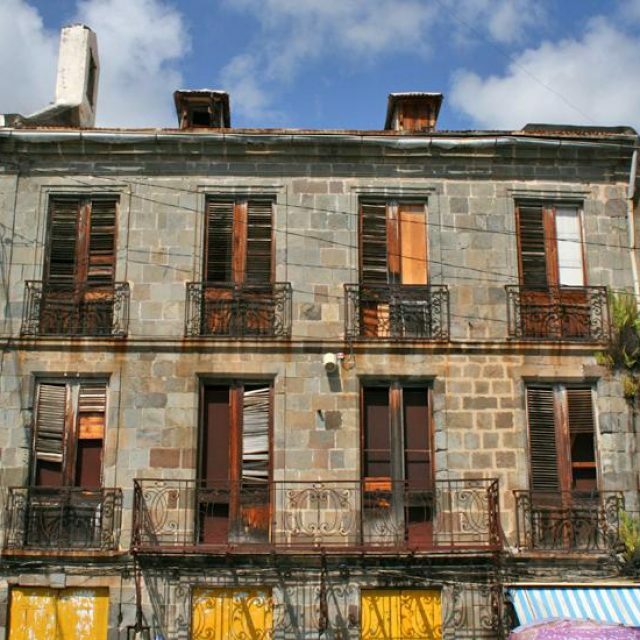 Built in the late eighteenth century, it is one of the oldest buildings in the city and the island, and was listed as a historic monument on February 2 1987. 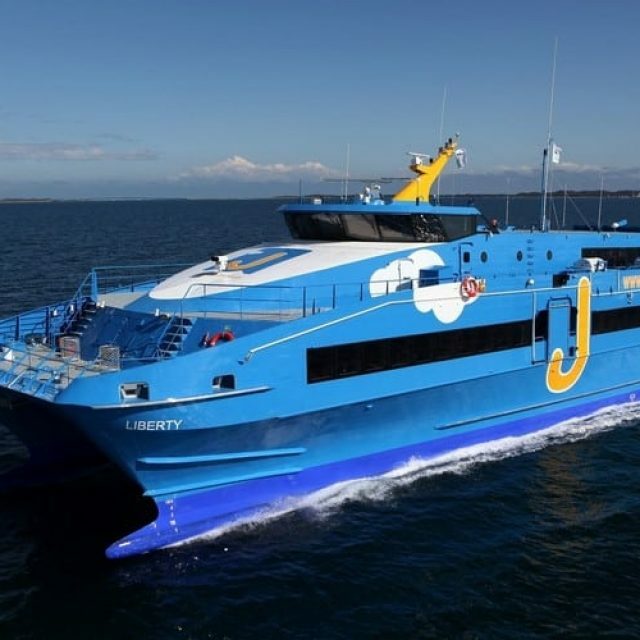 Shuttle to the West Indies. 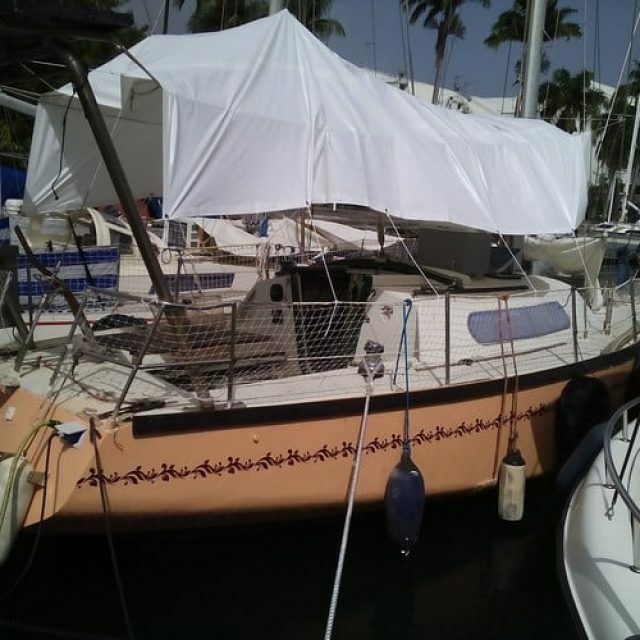 Jeans for Freedom is the first low cost shipping company in the Caribbean. 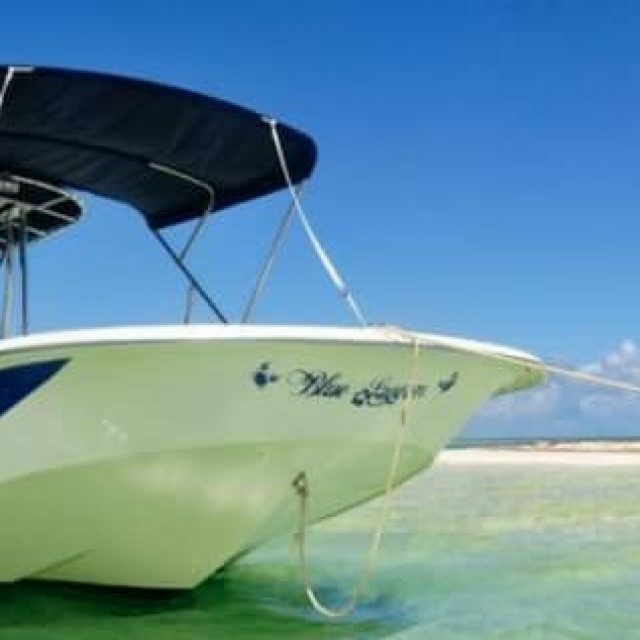 It allows you to discover privileged destinations and you discover the Caribbean environment aboard its boats, all at unbeatable prices. 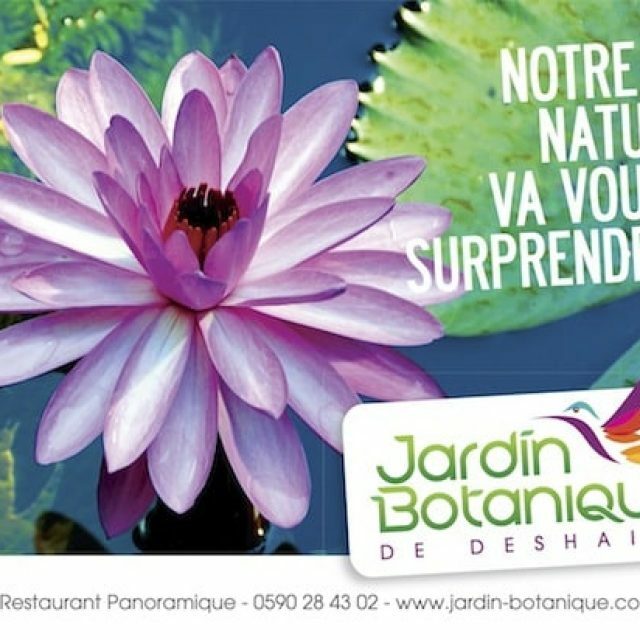 In the heart of the islands of Guadeloupe, the botanical garden of Deshaies offers a peaceful stroll through the surprising flora of the Caribbean! 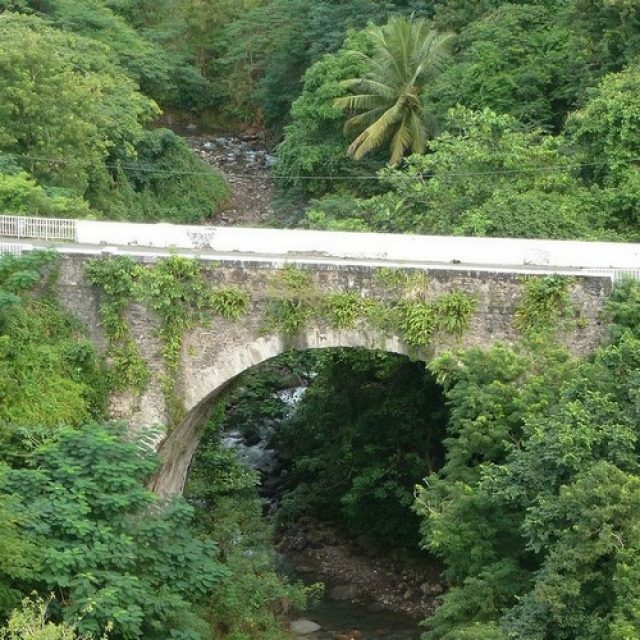 This 7-hectare park offers a great diversity of plants and remarkable trees. 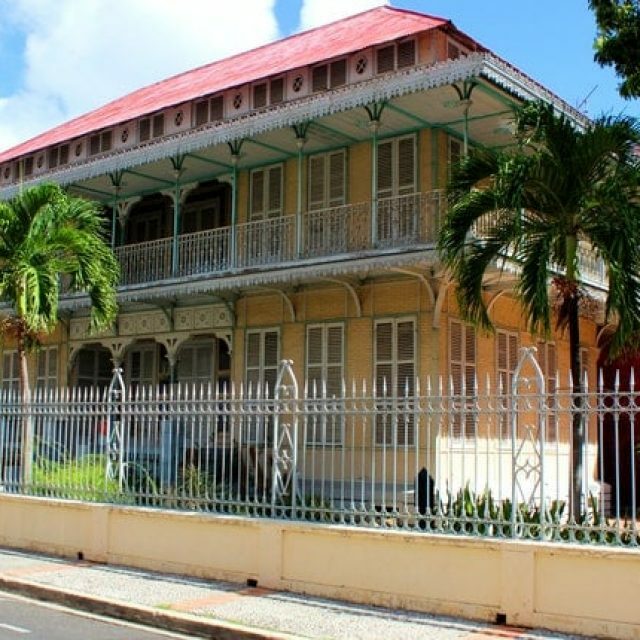 The museum Schœlcher is a museum located in Guadeloupe in the old quarter of Pointe-à-Pitre, 24 rue Peynier. 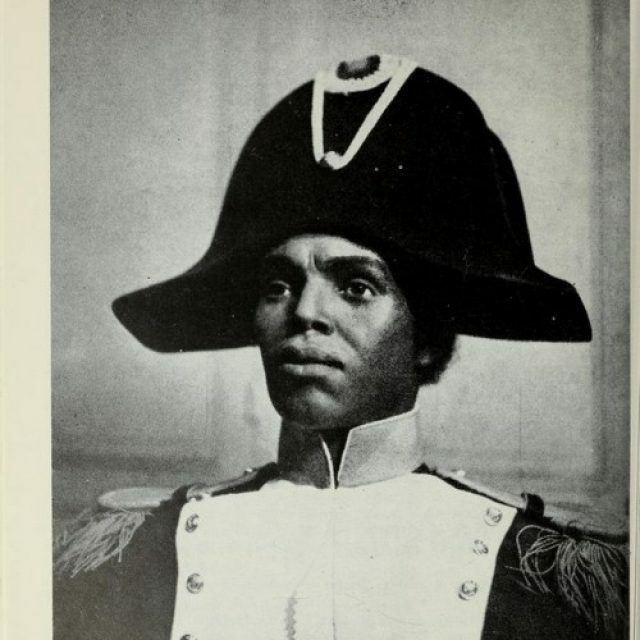 It houses a collection of objects that belonged to the journalist and the French politician Victor Schoelcher who was the defender of the definitive abolition of slavery in France. 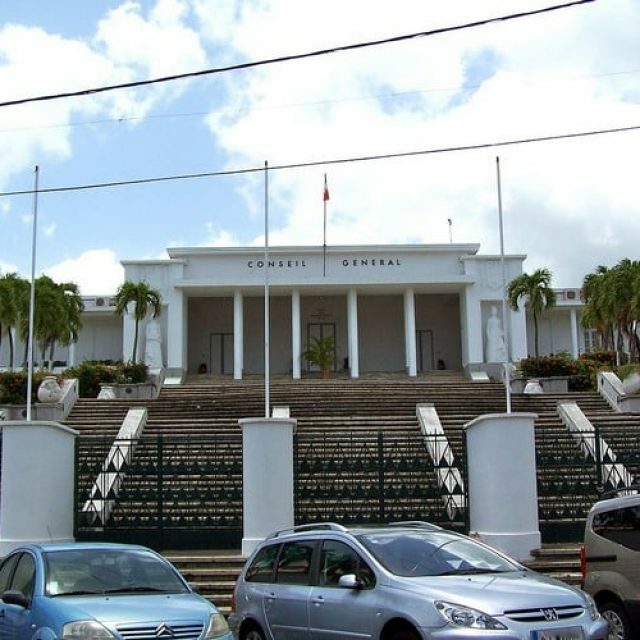 The Basse-Terre courthouse is an architectural building located in the city of Basse-Terre. 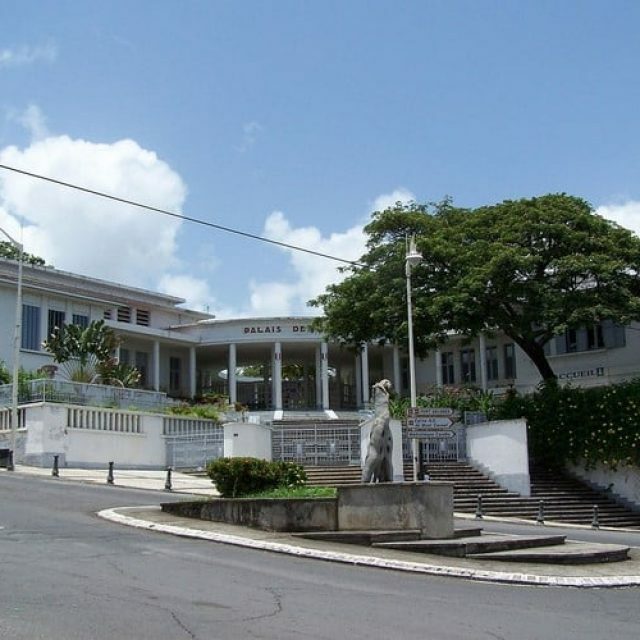 Built in 1934 to become the seat of the courts of justice (public prosecutor’s office, court of appeal and court house), it has been classified as a historical monument since 1997. 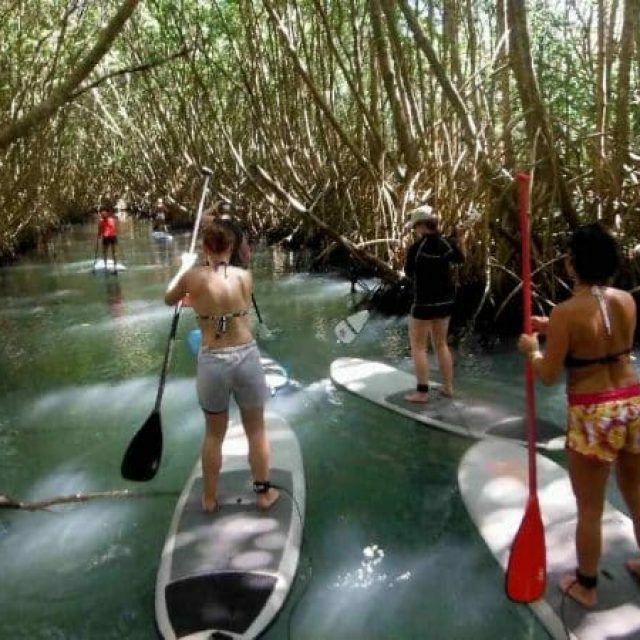 GO FREE AND DISCOVER THE COAST AND THE COUNTRY SIDE BY PRACTICING AN ENTERTAINING ACTIVITY, FUN AND ECOLOGICAL. 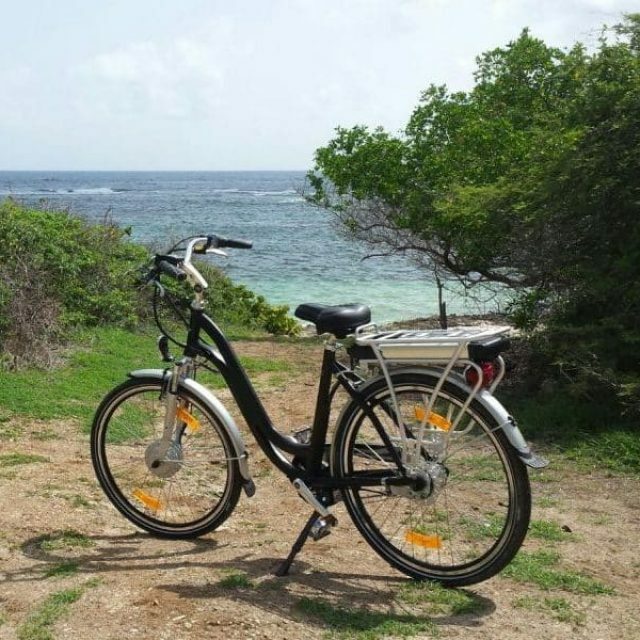 KARULIB OFFERS THE RENT OF ELECTRIC BIKES ACCESSIBLE TO ADULTS AND CHILDREN. 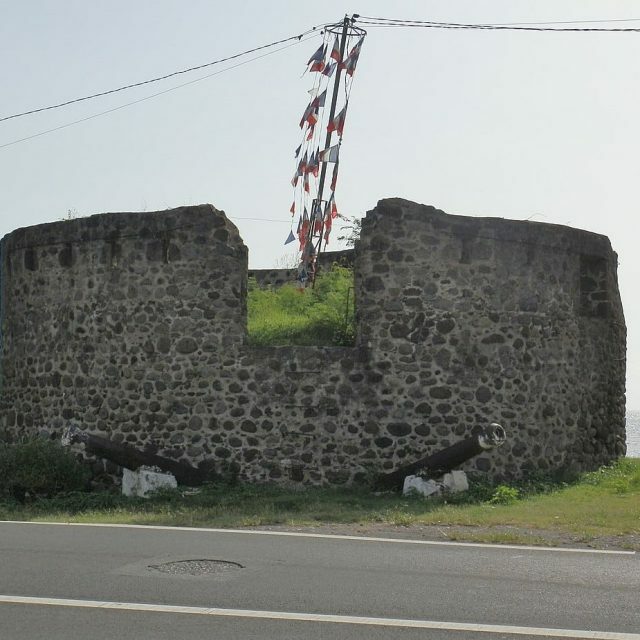 The tower was built at the beginning of the year 1703, at the request of Governor Auget to protect the south the island from English attacks, at the tip of Pères north of the city of Basse-Terre near the river des Pères. There always seems to be a new thing to do when you just finished doing something that you never done before. We are here to assist you in finding the best local business that best fits your needs. 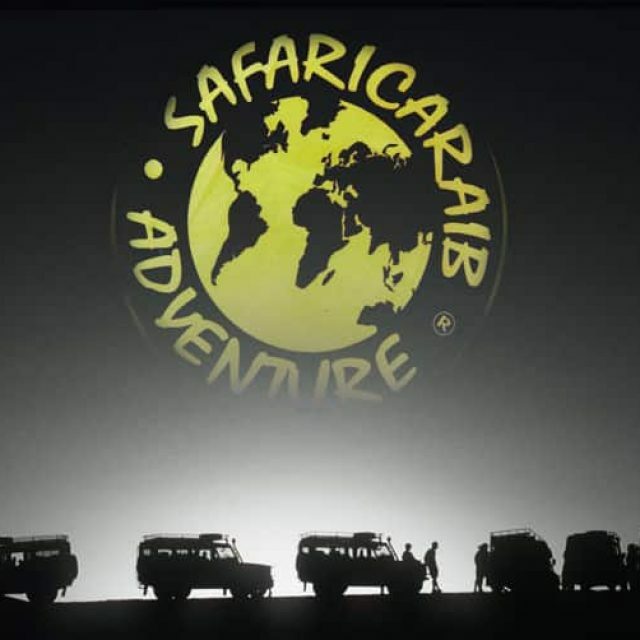 Use our contact button and form to get in touch with us and ask us any question and we will gladly help. 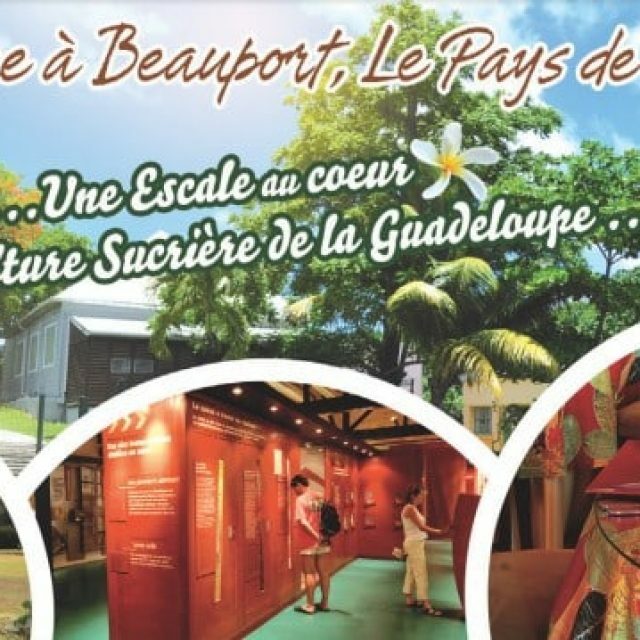 © 2018 Copyright by Travel2guadeloupe. All rights reserved.